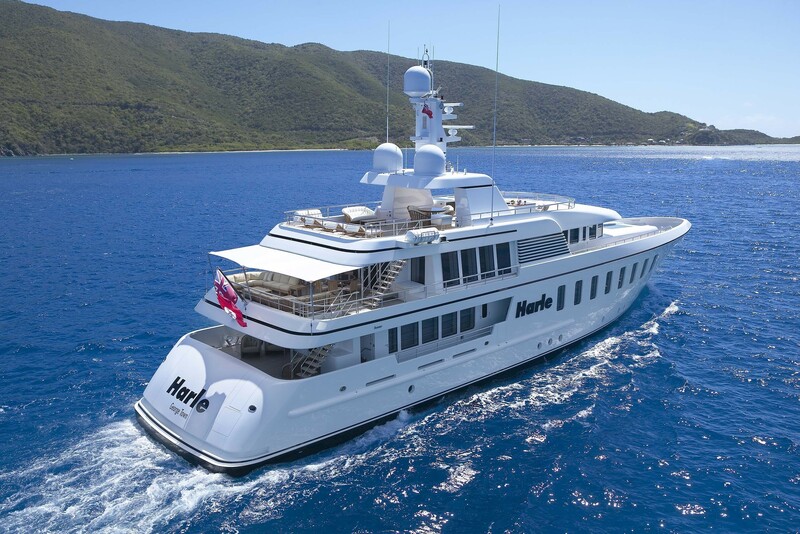 Luxury yacht HARLE is a 44.65-meter (146’ 6”) motor yacht built by Feadship in 2007 designed by De Voogt Naval Architects with interior design by Sinot Design Associates. 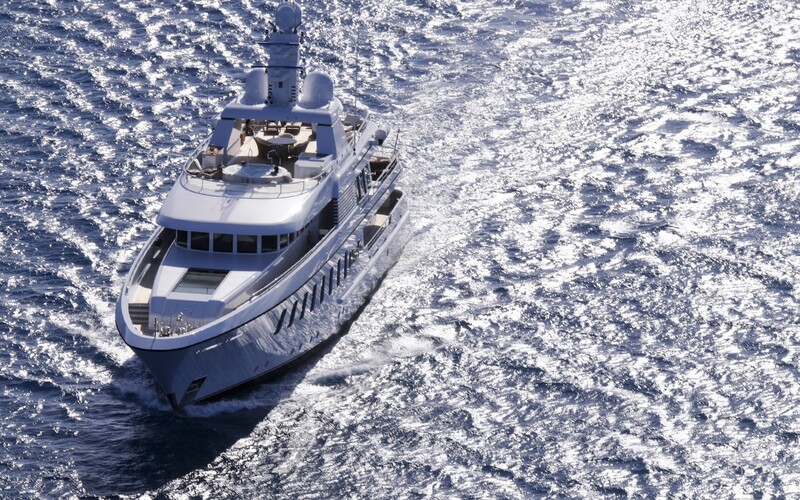 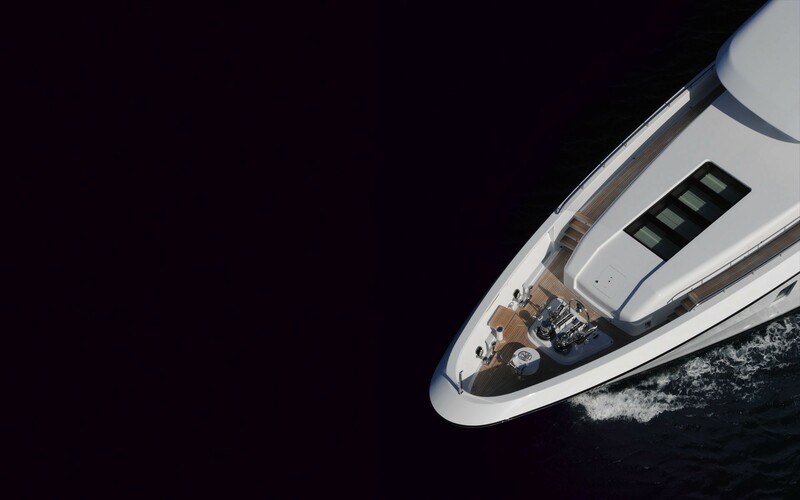 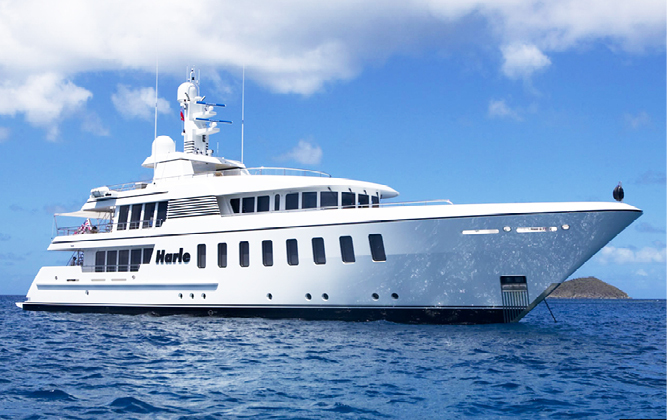 M/Y Harle, a custom-series F45 Vantage is a motor yacht of uncompromising beauty and grace. 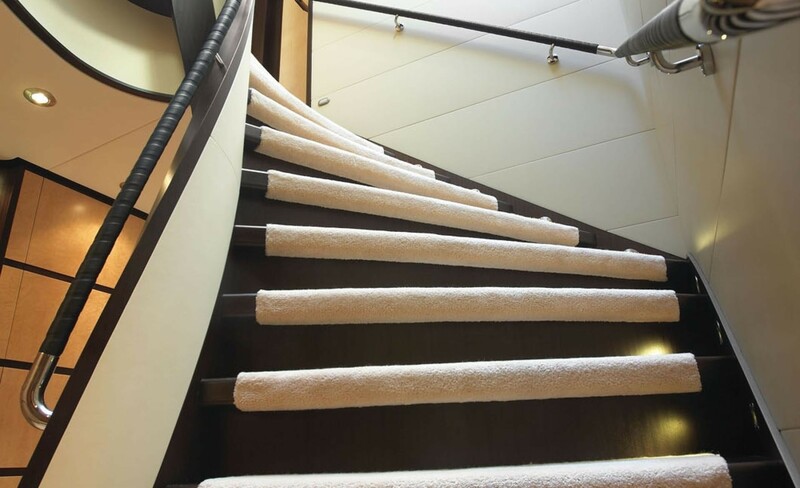 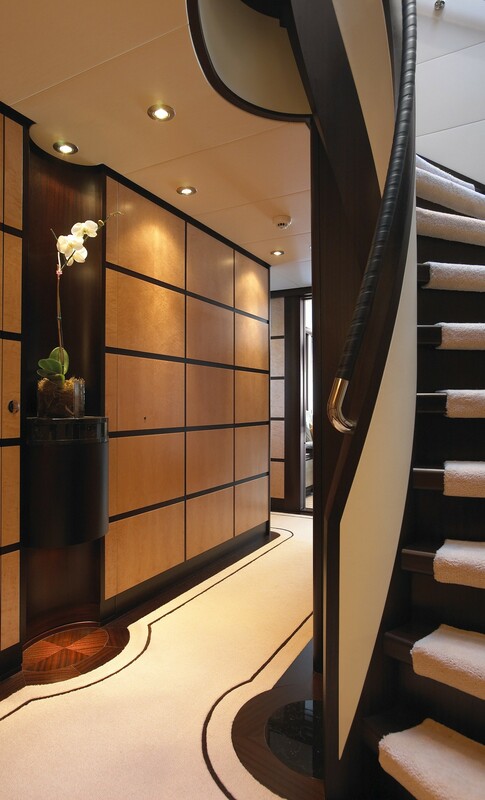 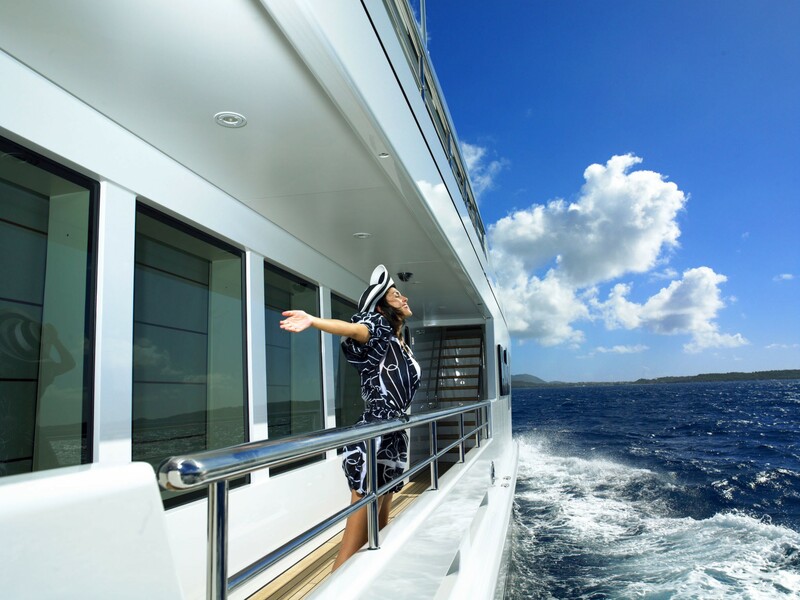 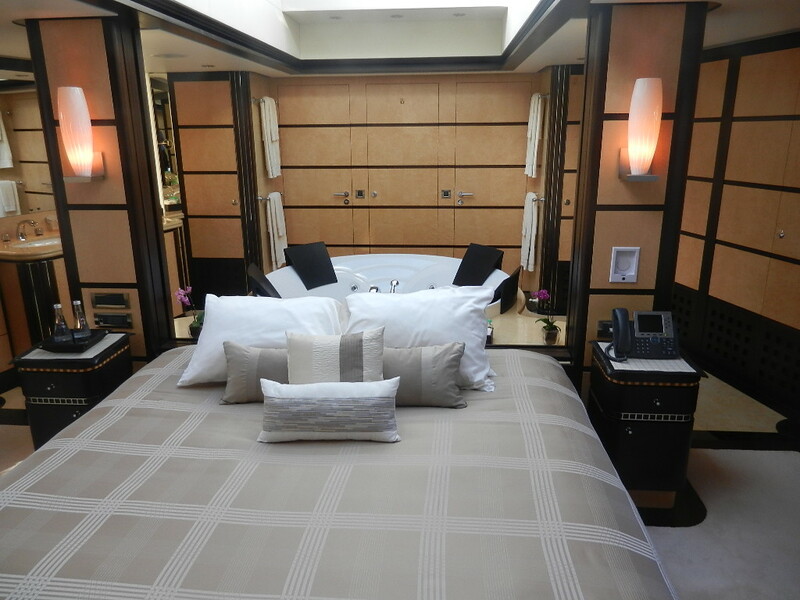 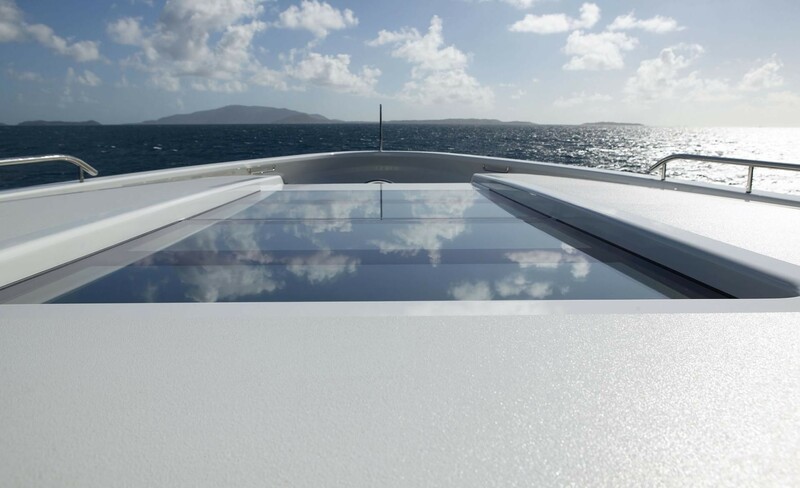 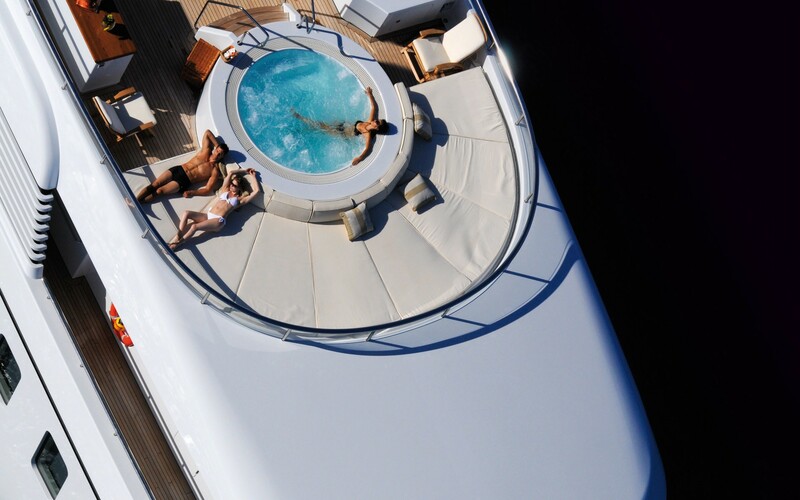 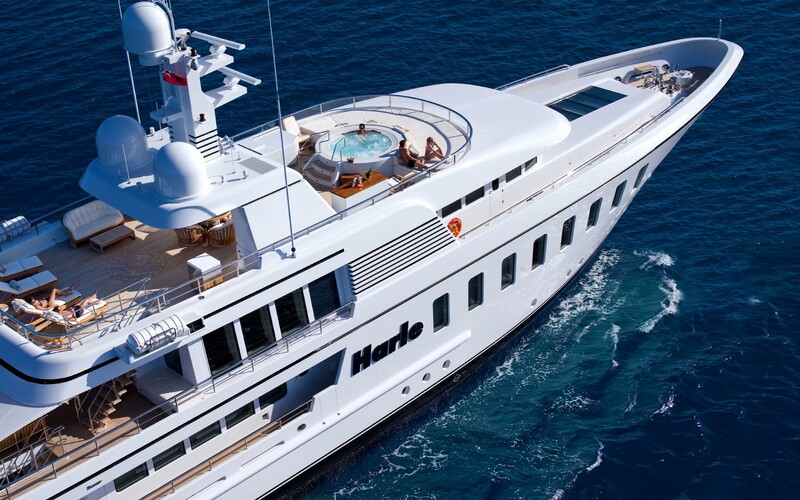 Luxury motor yacht HARLE has a unique layout with the master and guest staterooms on the main deck and a flexible indoor/outdoor flow including innovative sliding windows creating an alfresco effect throughout the skylounge deck. 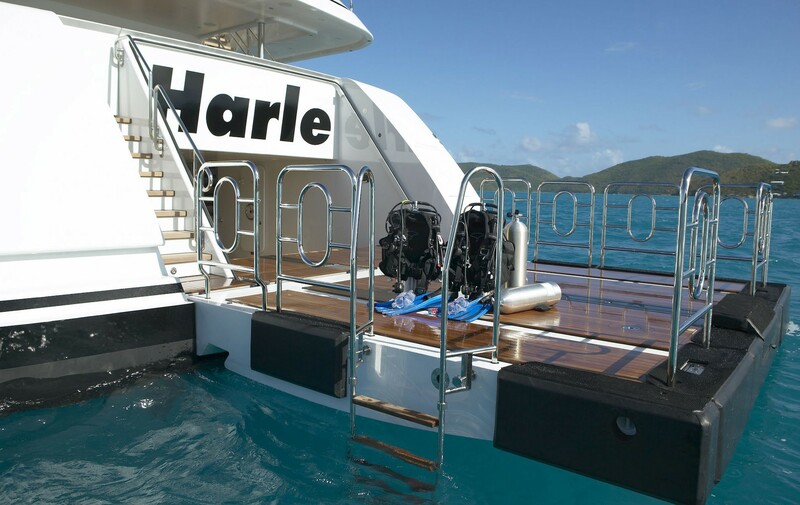 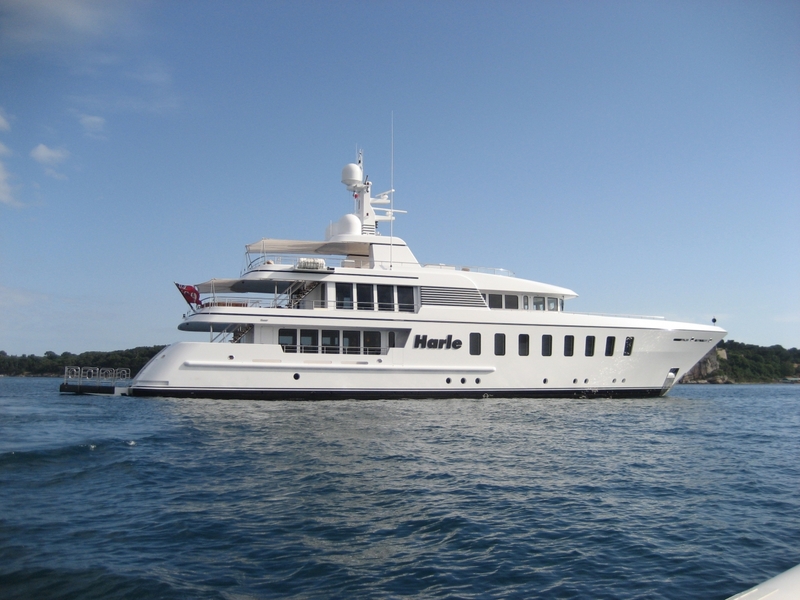 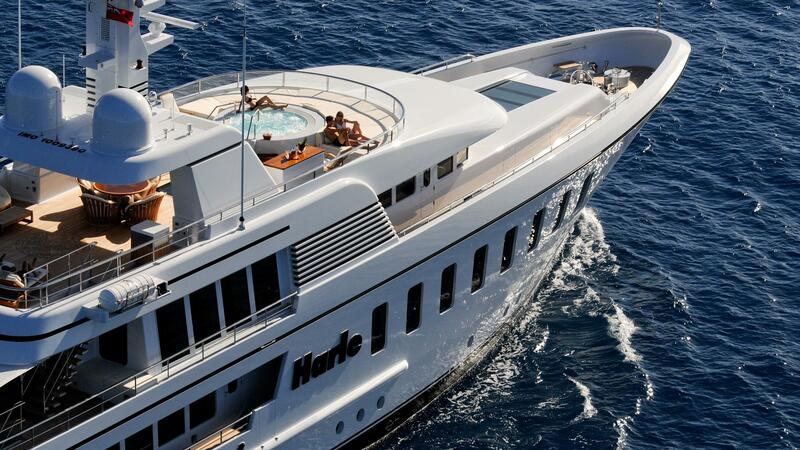 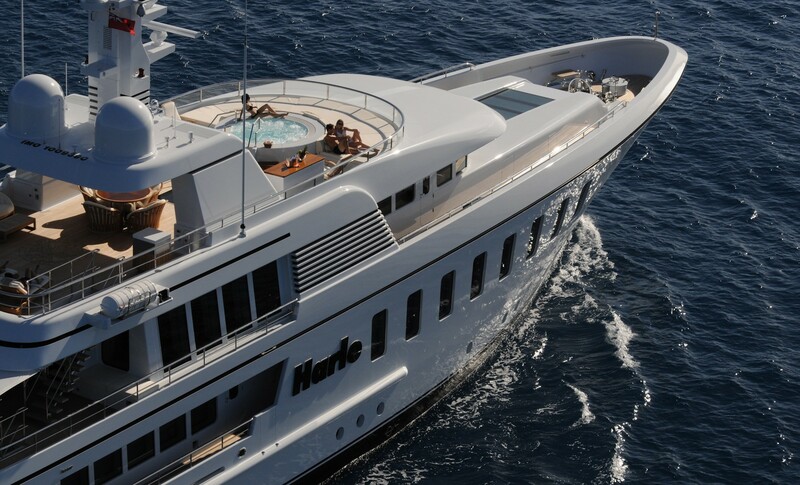 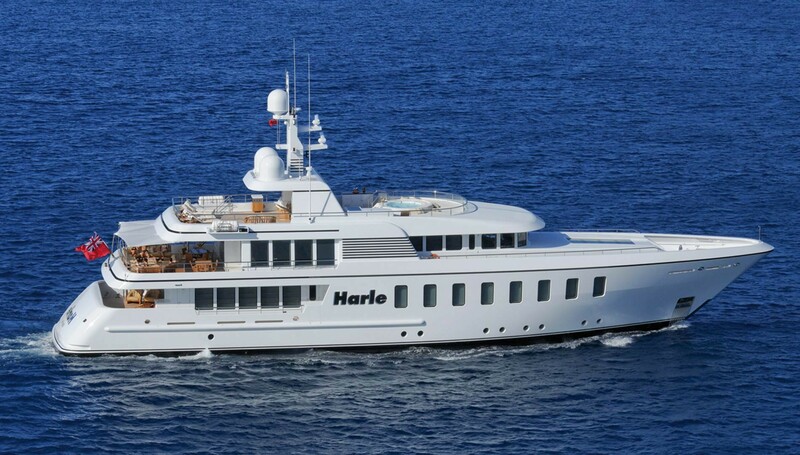 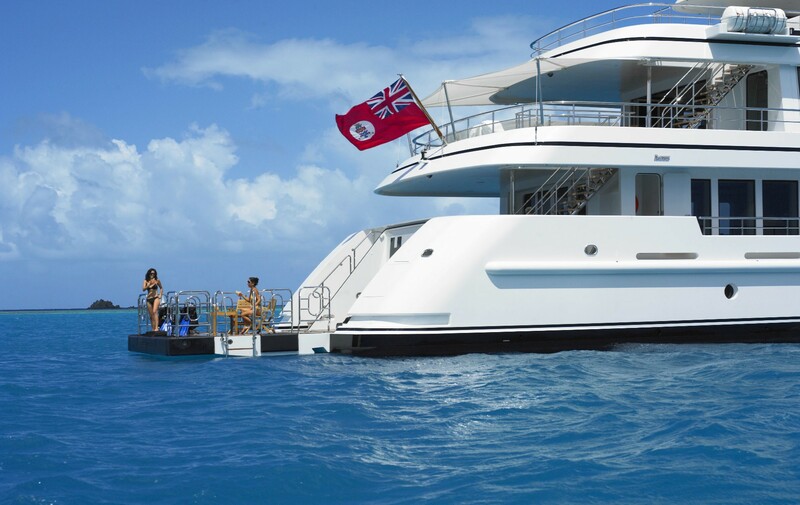 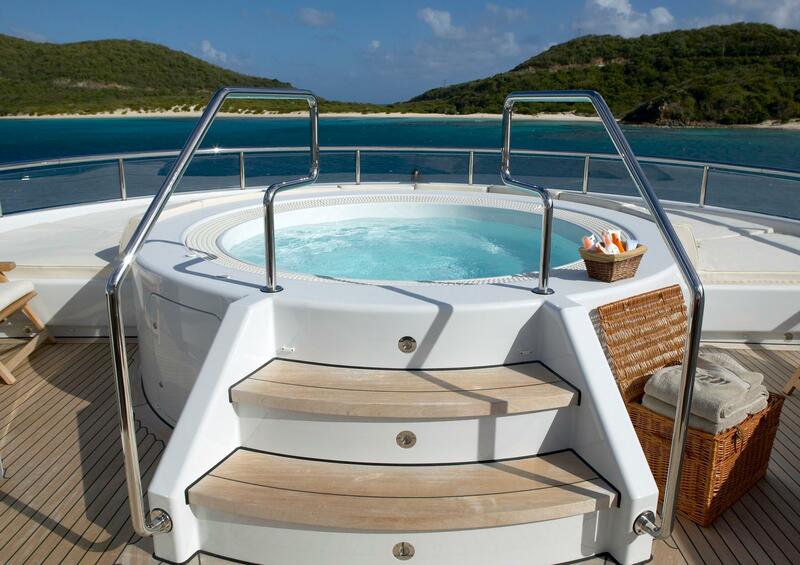 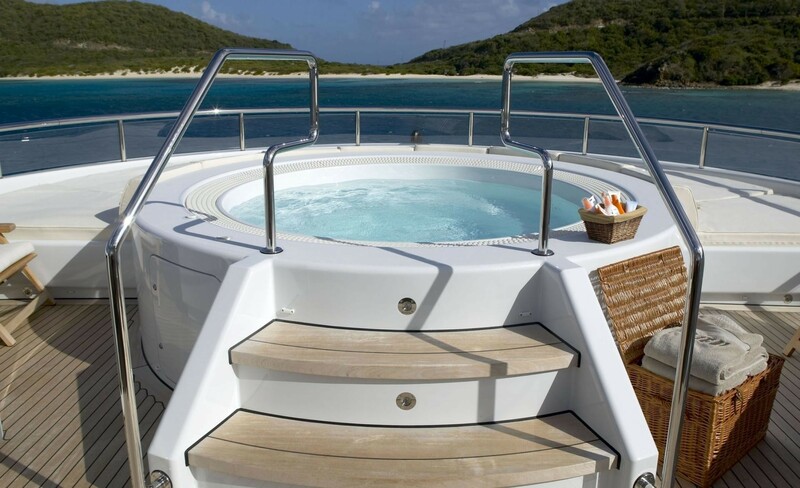 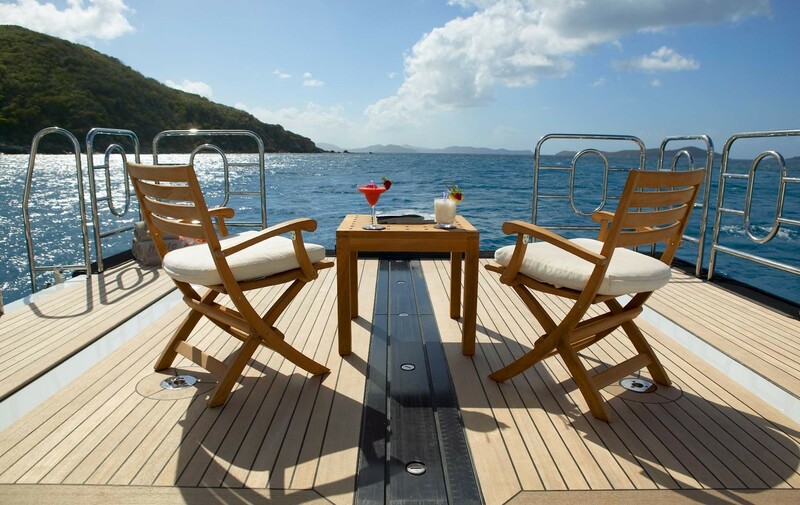 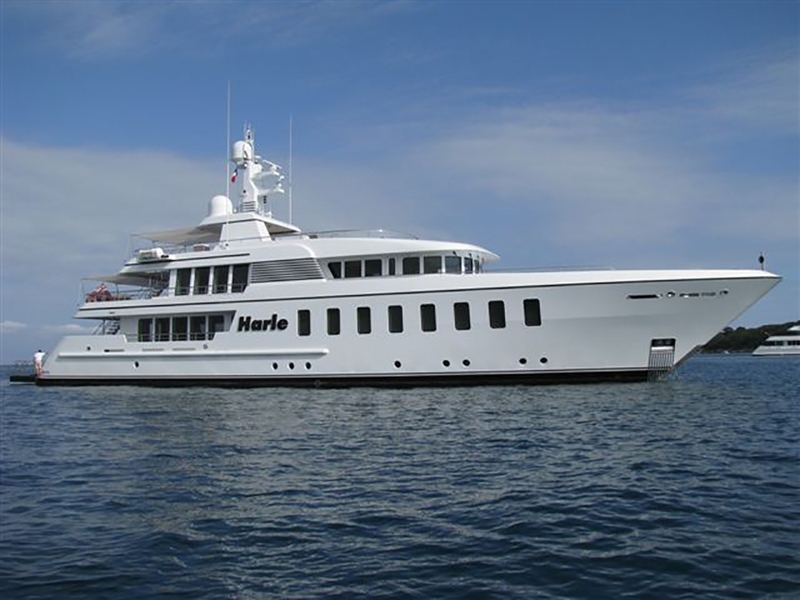 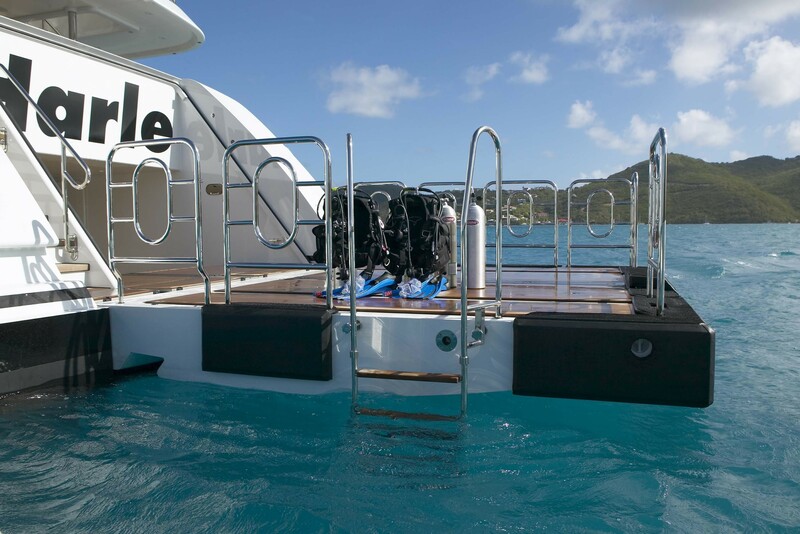 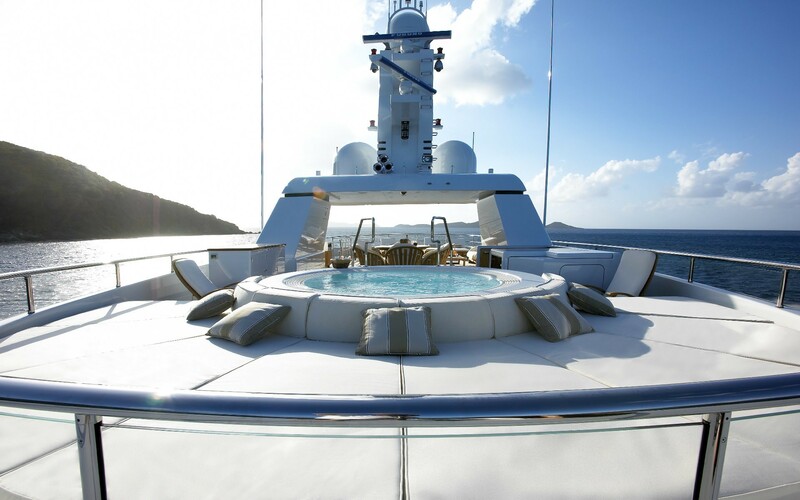 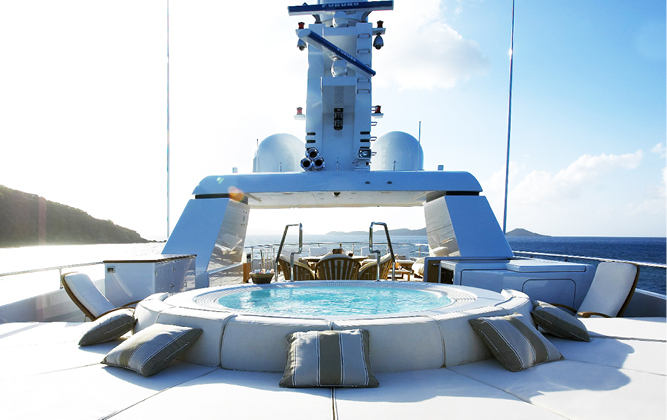 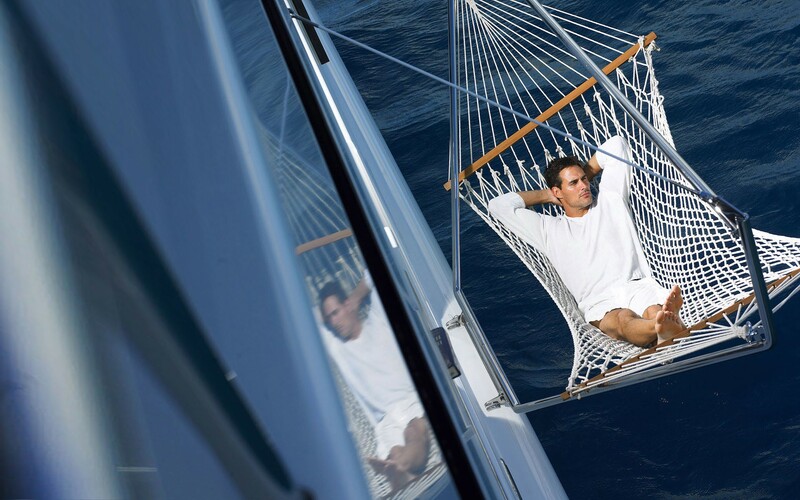 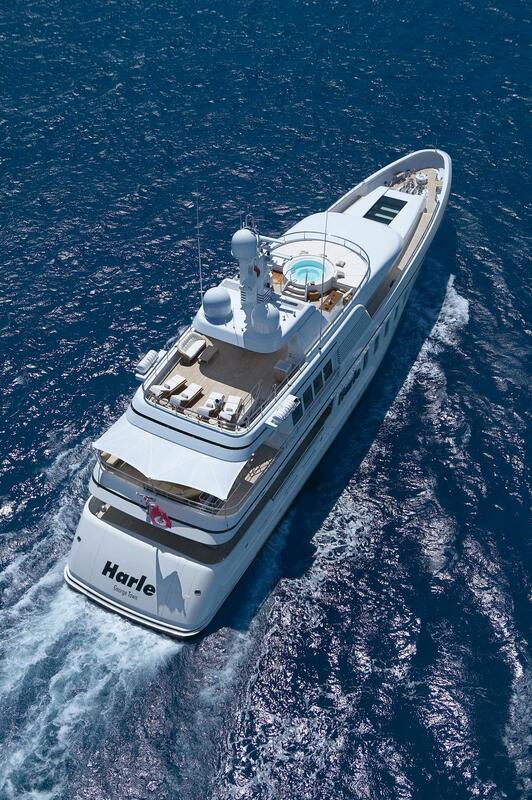 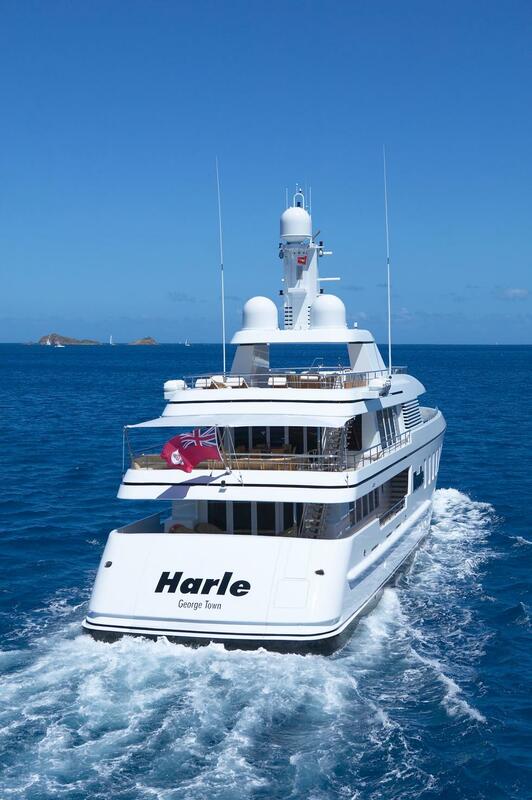 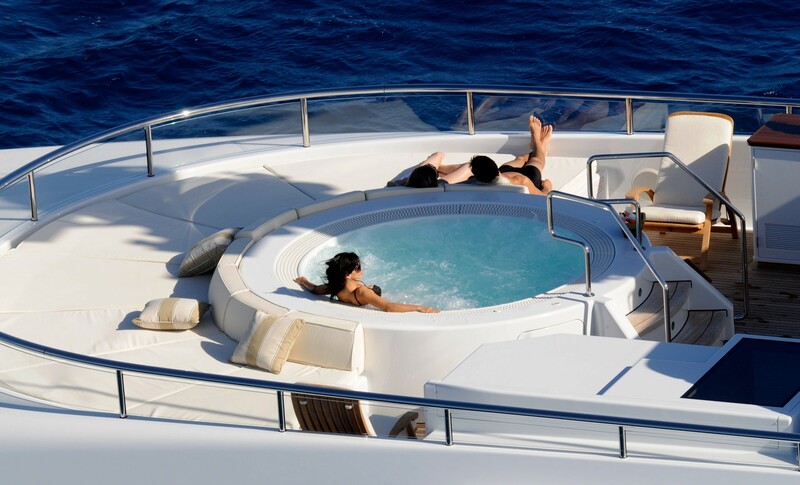 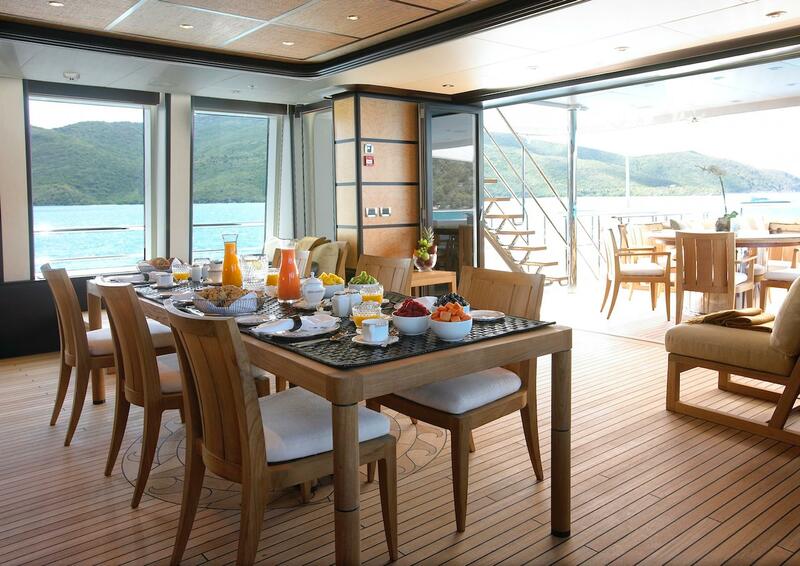 Other notable features of HARLE yacht is her expansive, open sun deck, making her ideal for Mediterranean event charters. 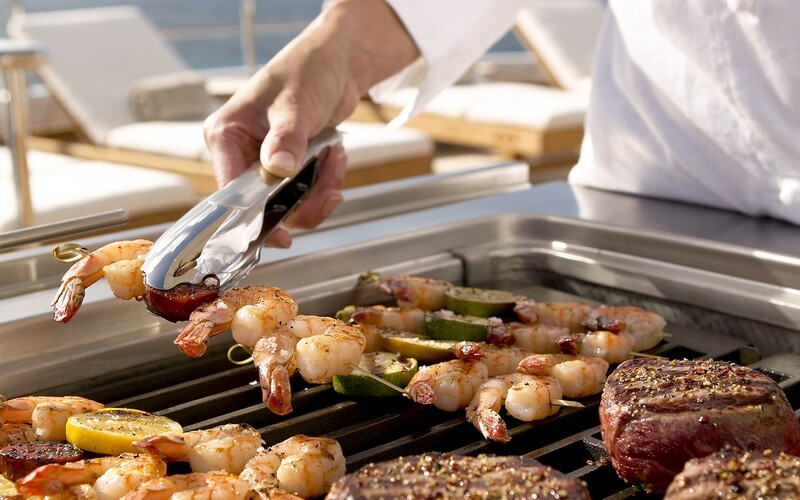 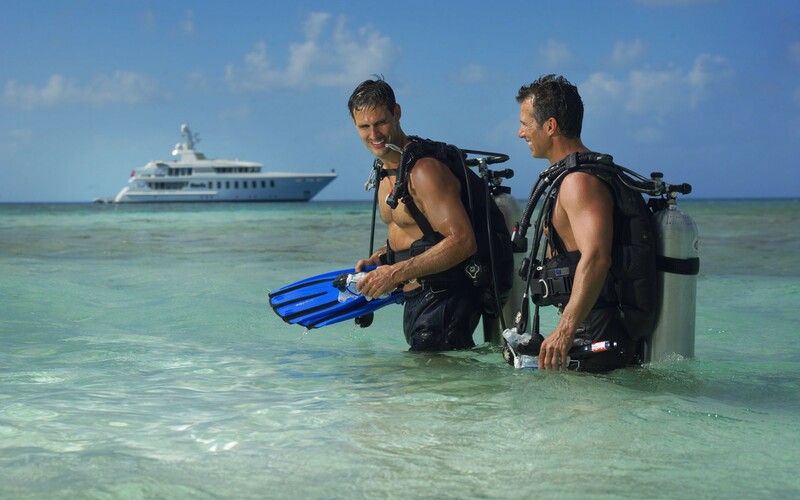 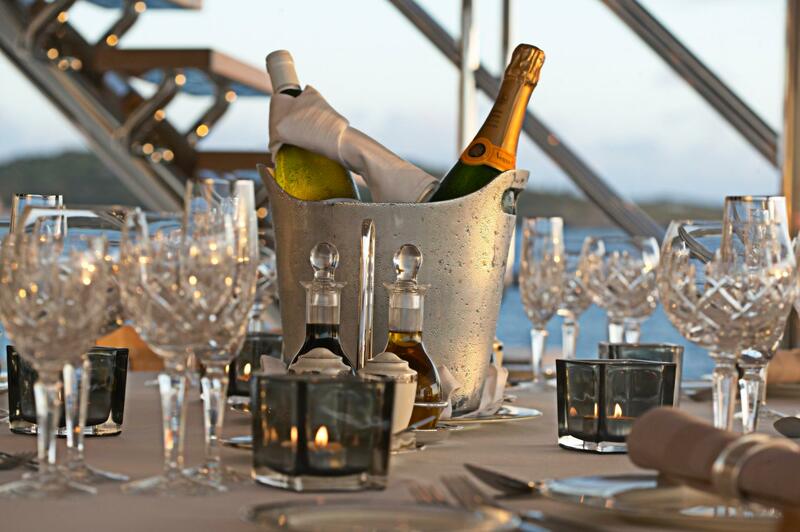 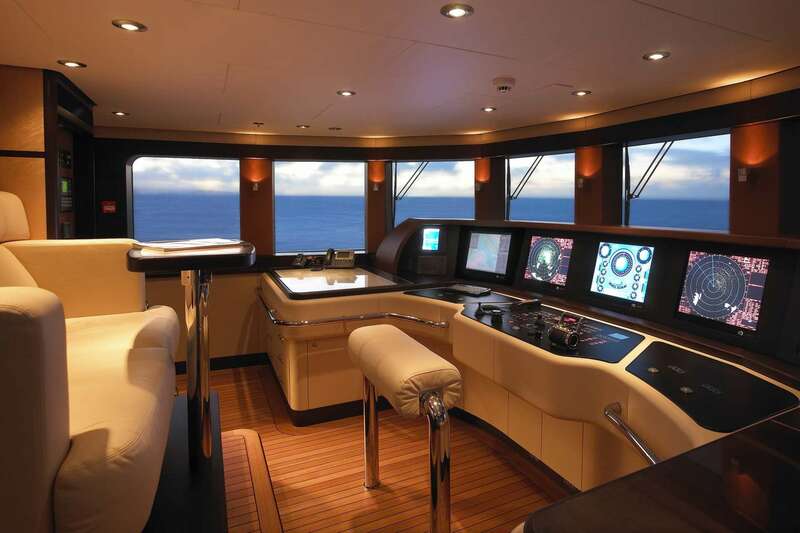 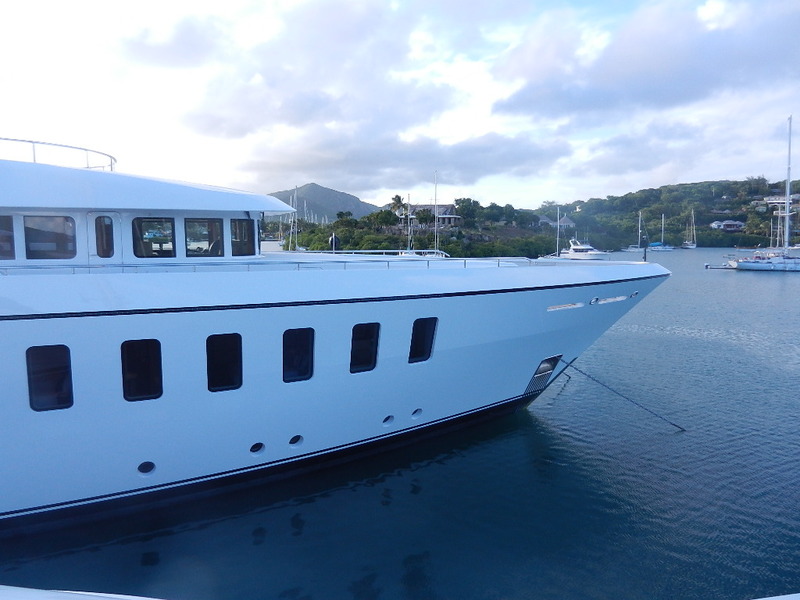 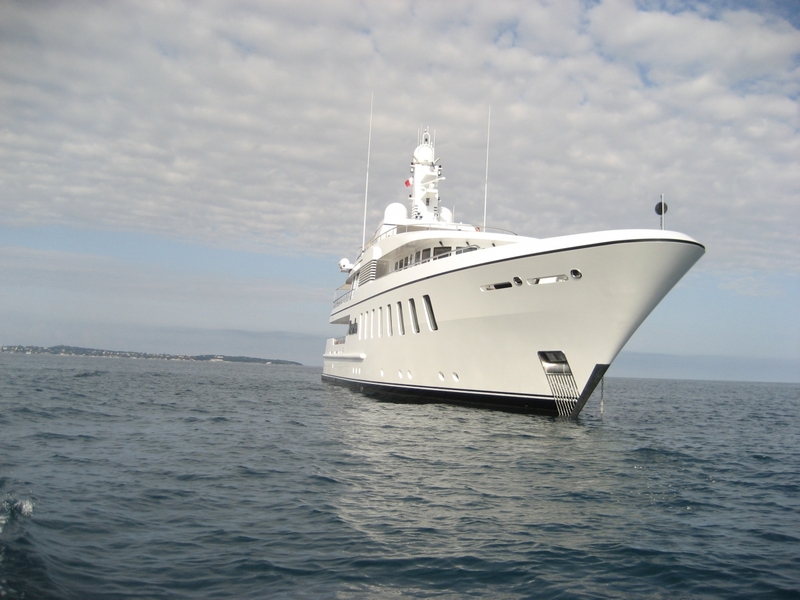 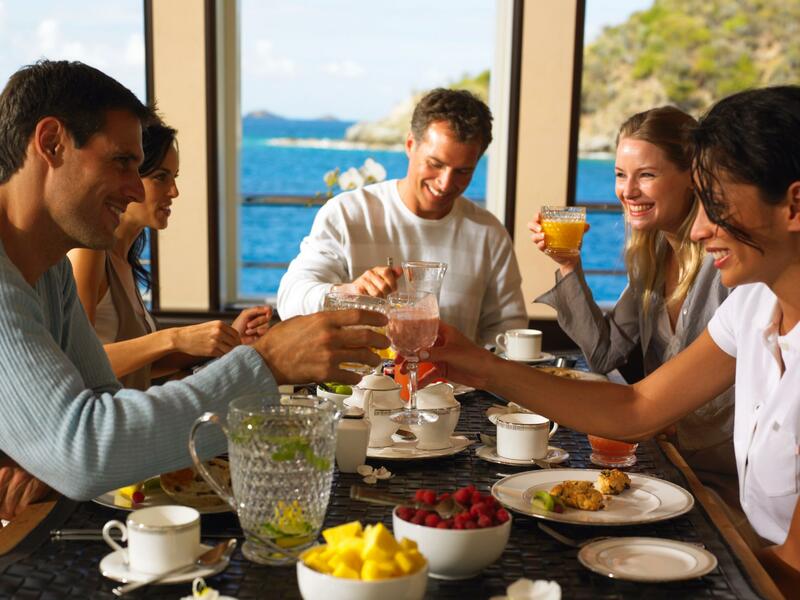 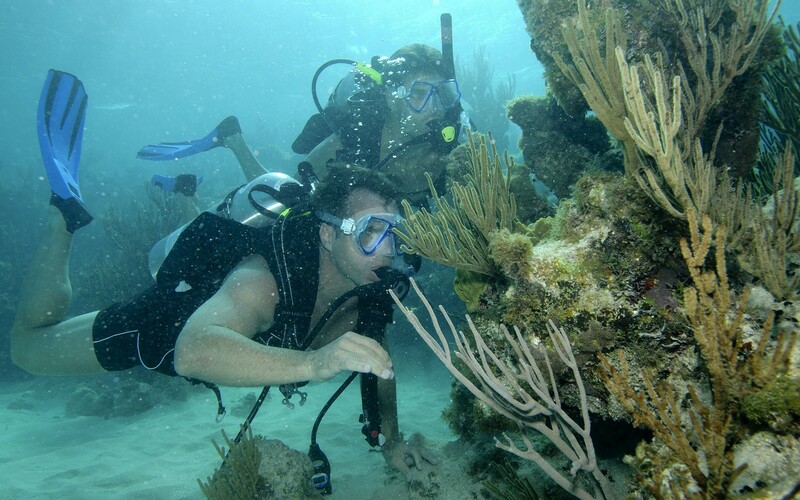 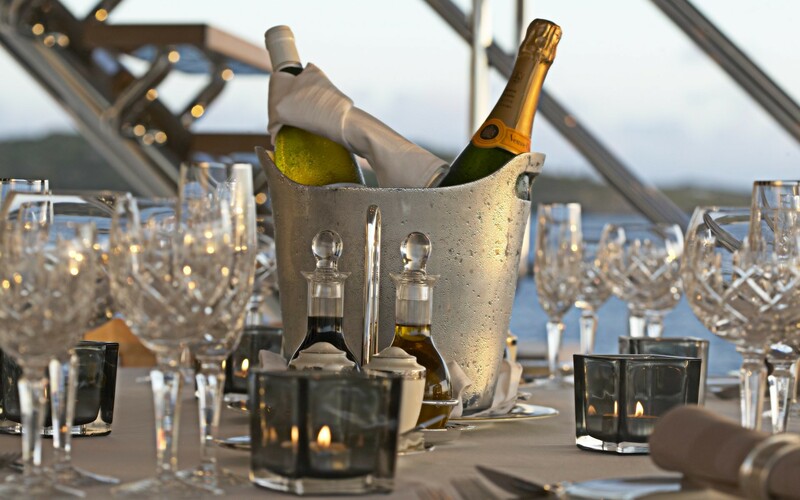 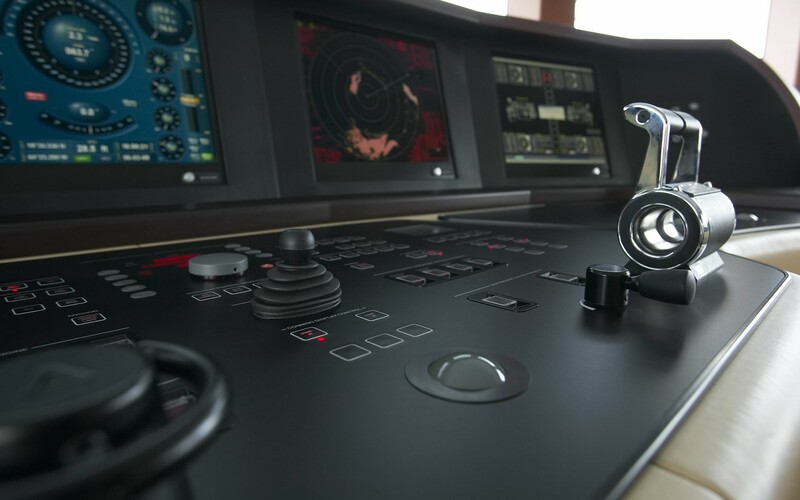 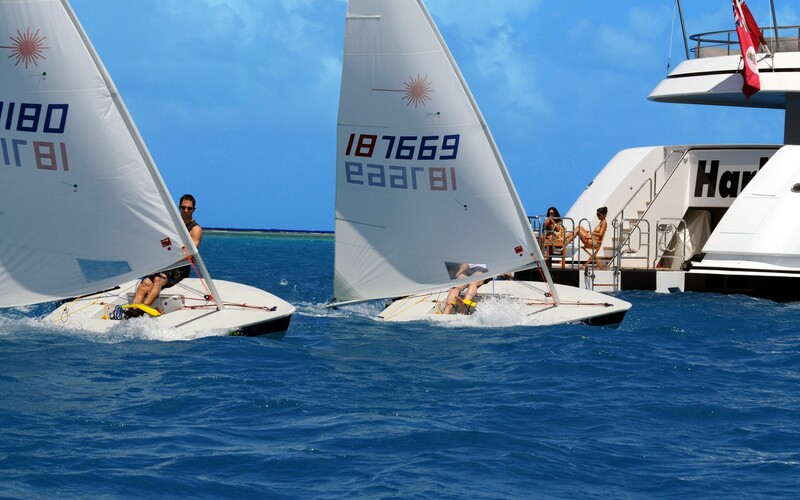 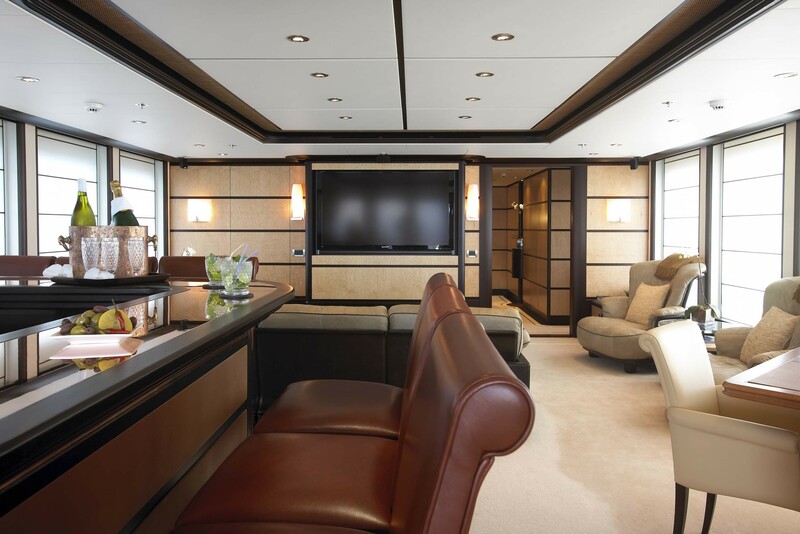 The yacht is equipped with the latest communication and entertainment technology including VSAT constant internet and the latest audio visual facilities. 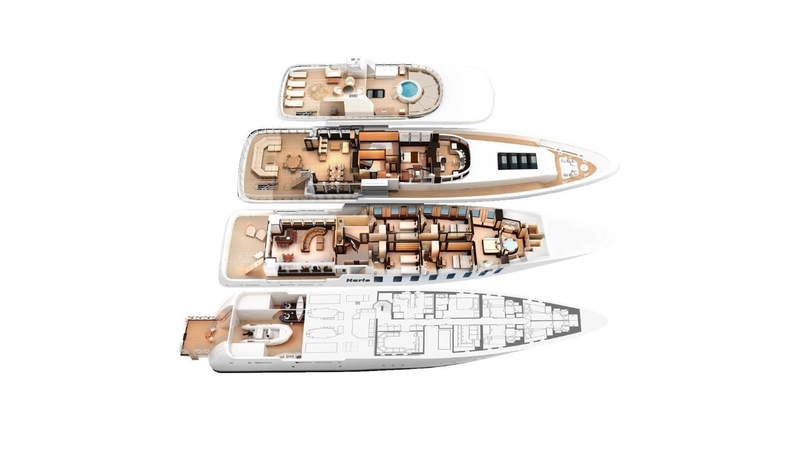 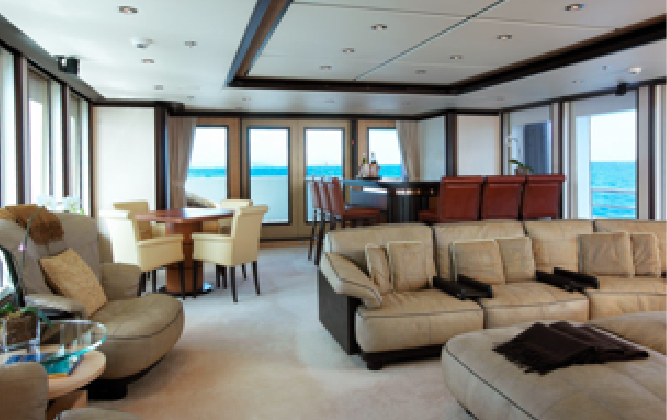 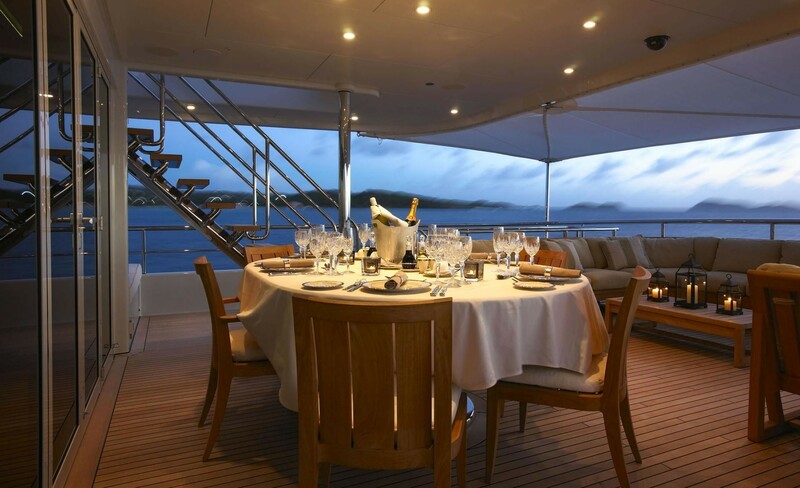 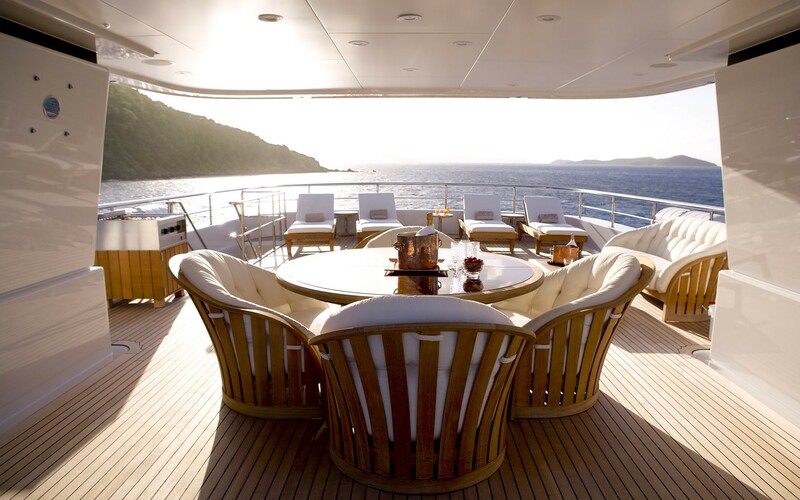 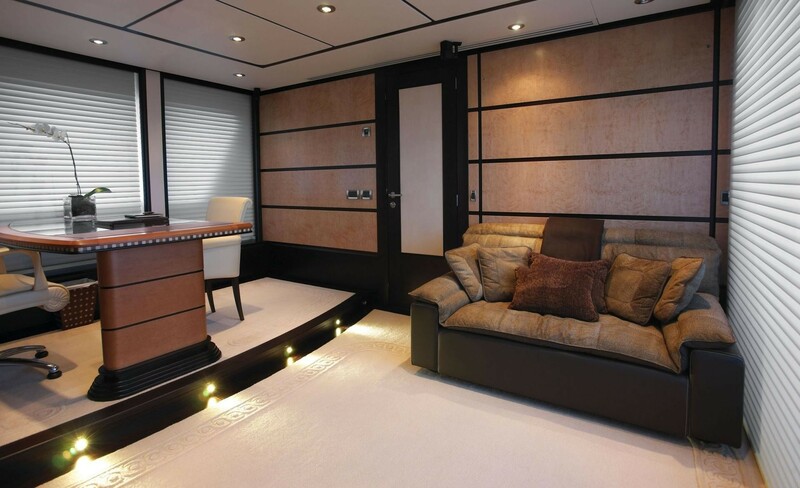 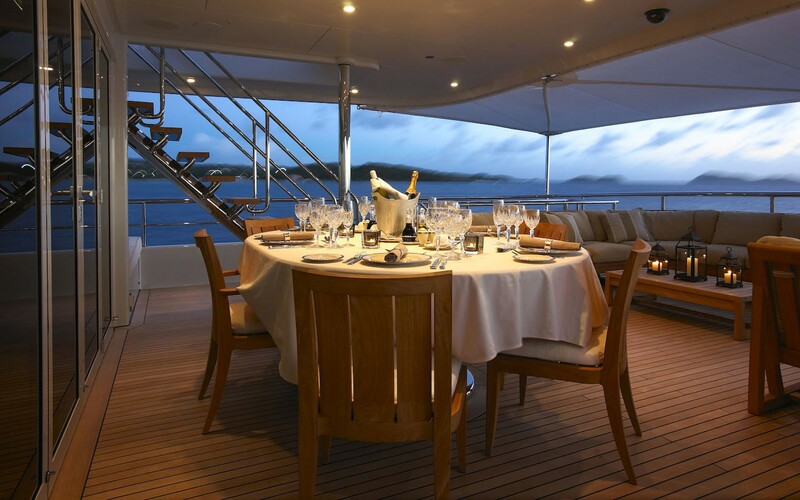 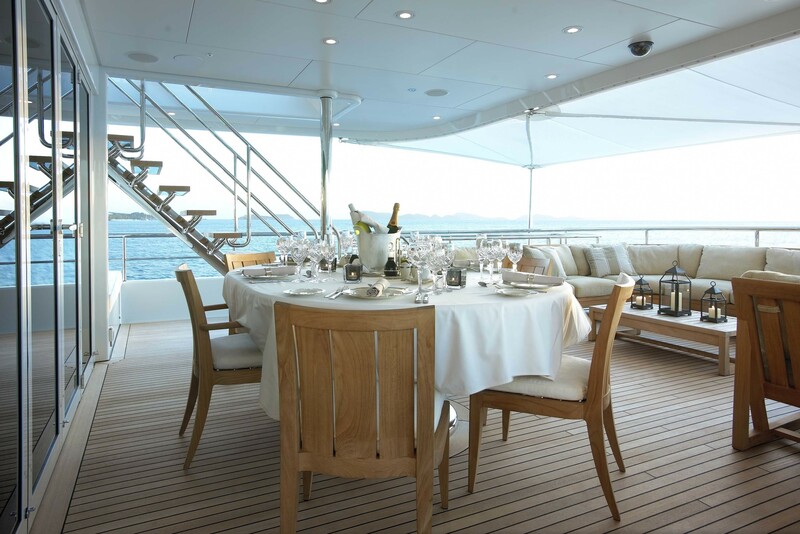 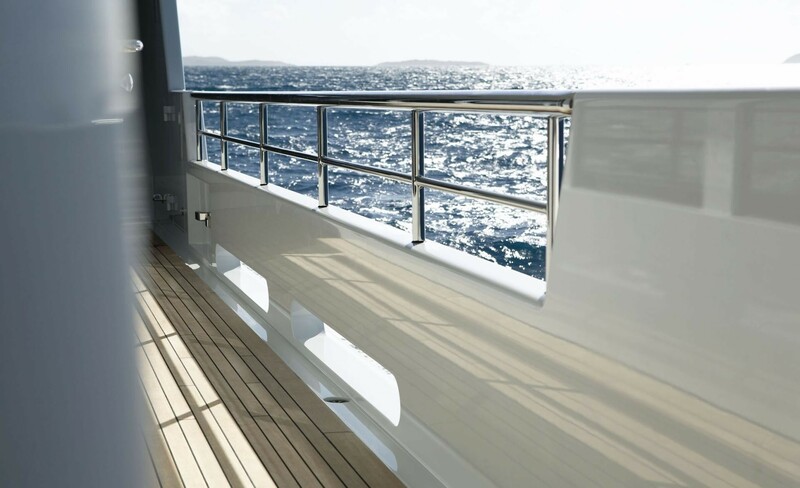 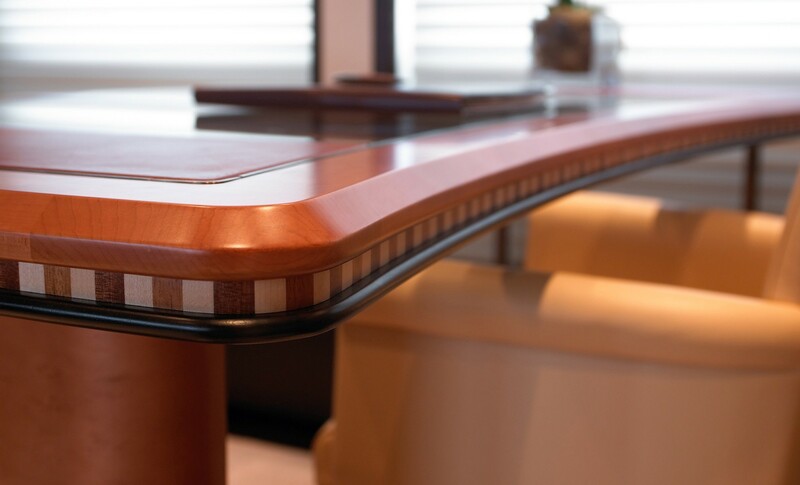 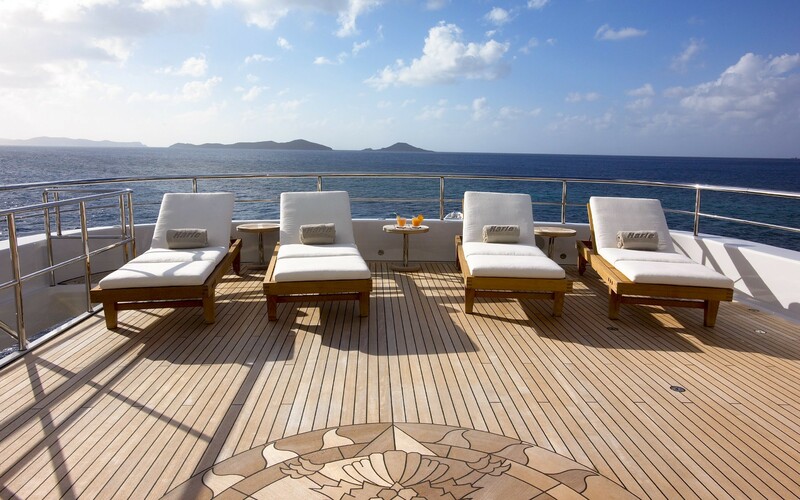 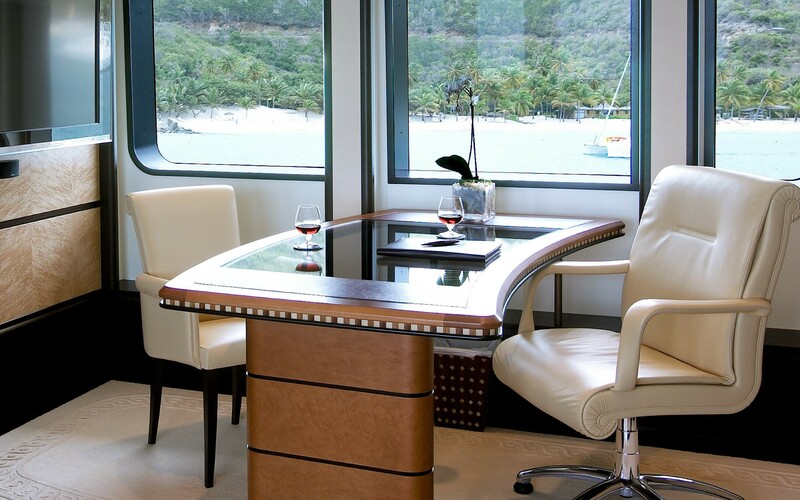 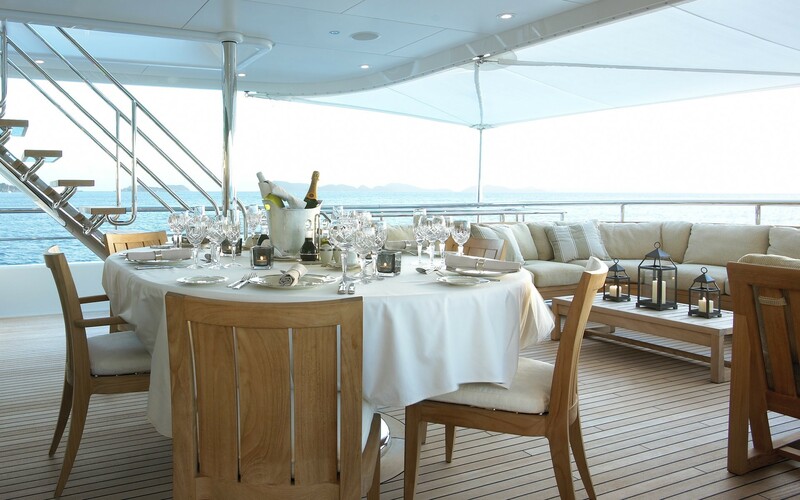 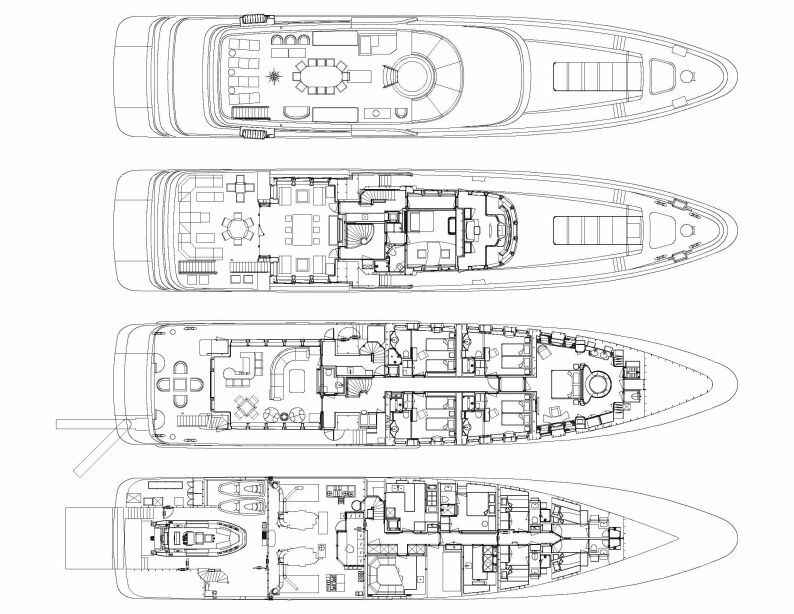 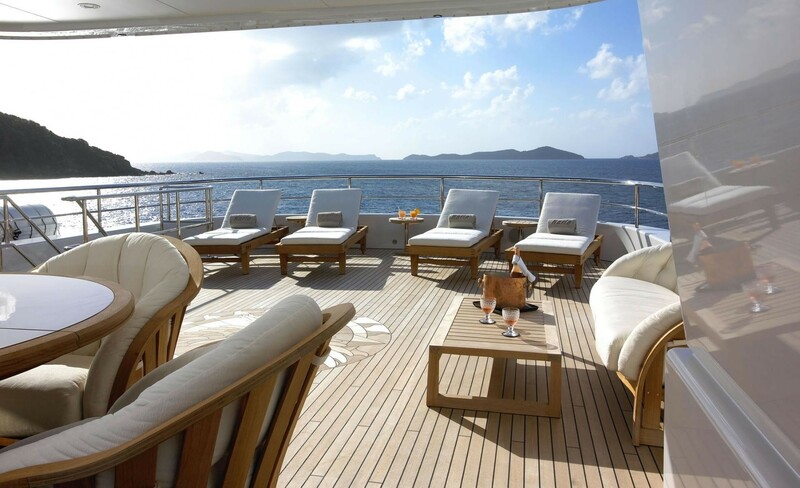 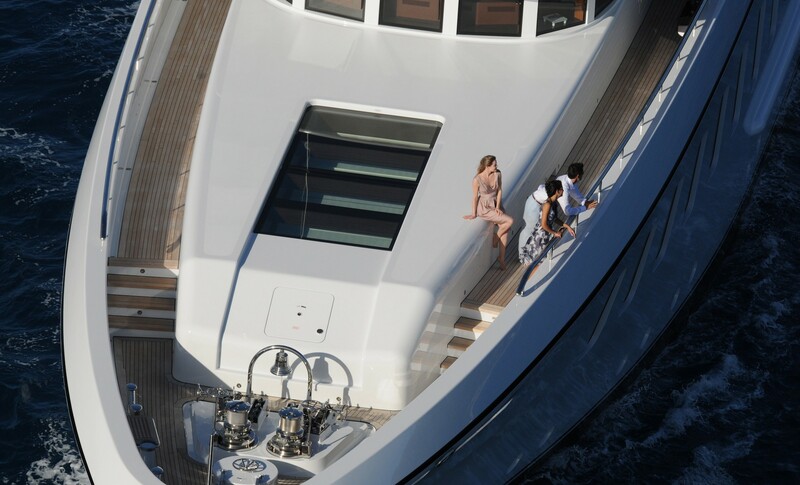 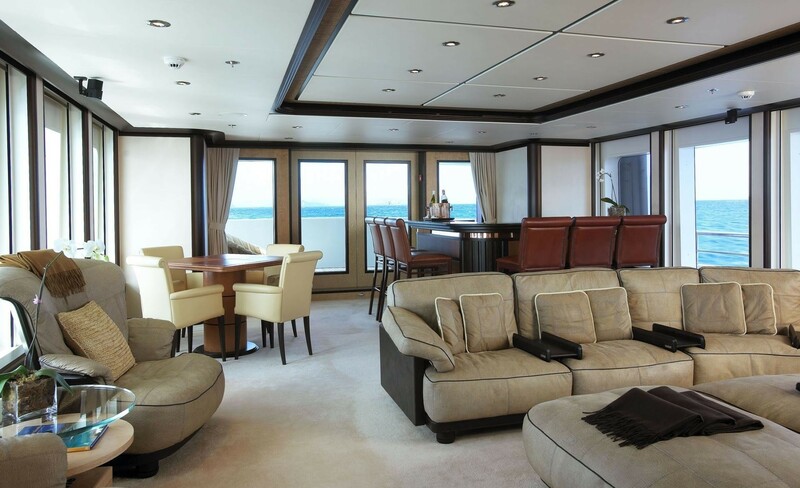 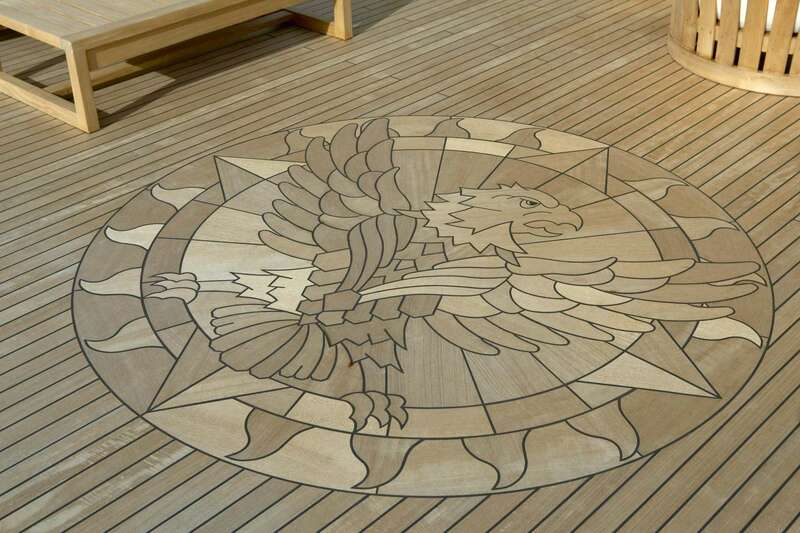 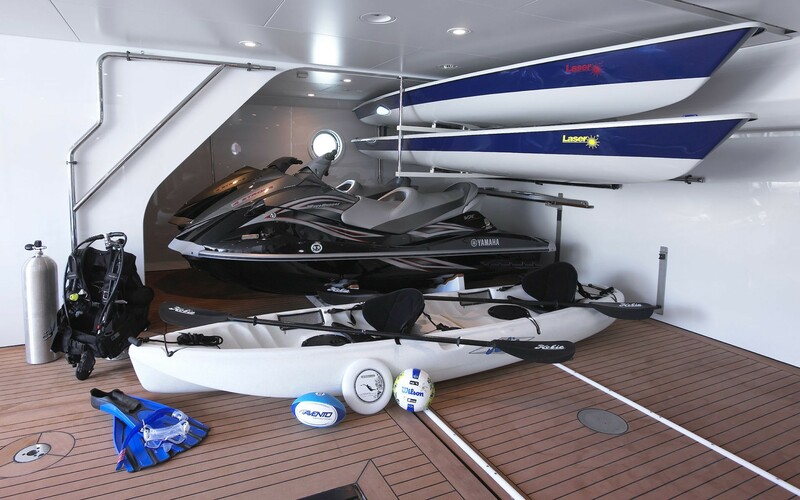 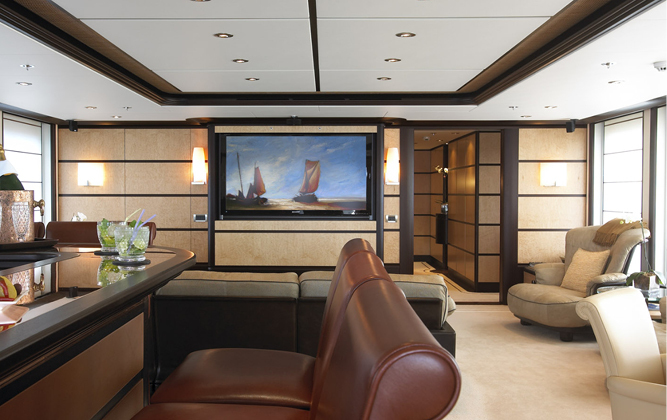 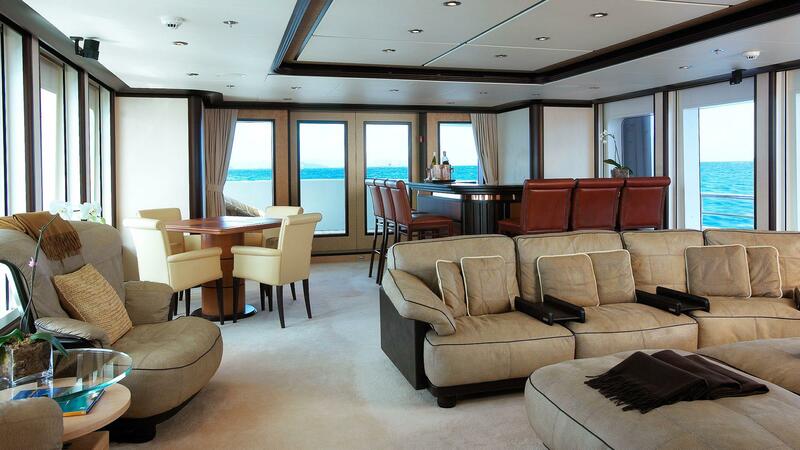 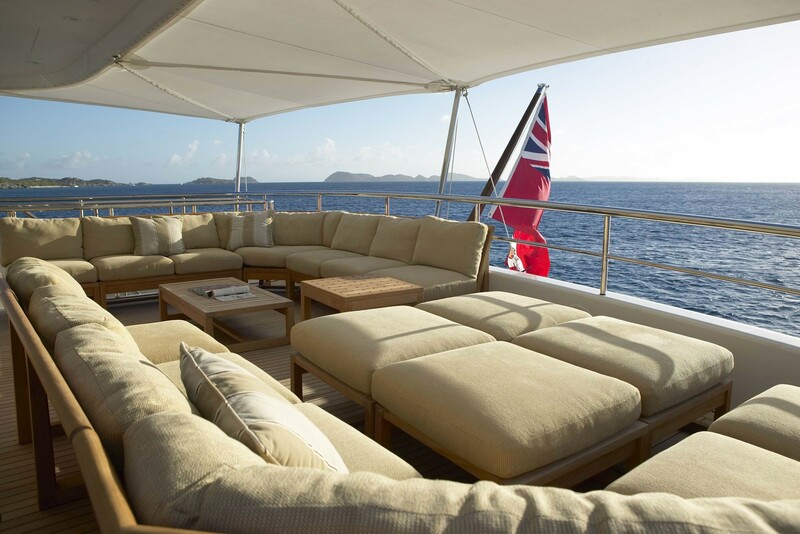 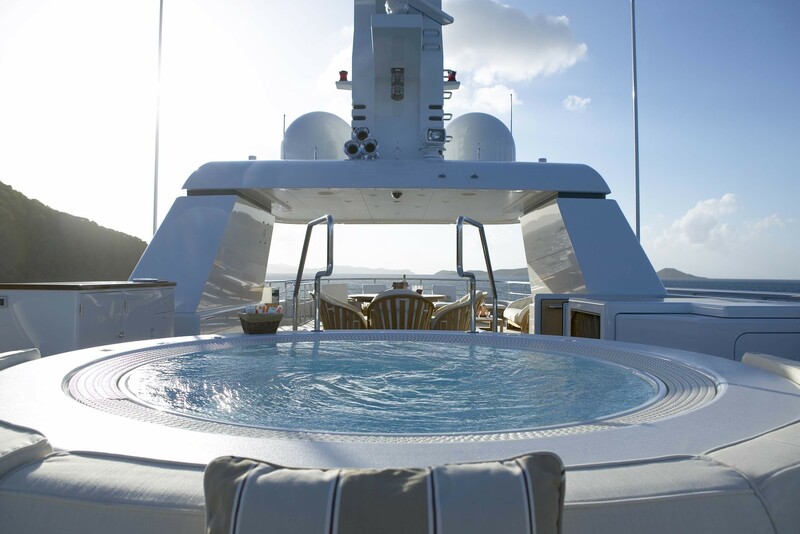 The main areas of the yacht such as the Main Salon, Bridge Deck Lounge, Sundeck and Lazarette are designed for multipurpose use, perfect for relaxing or entertaining. 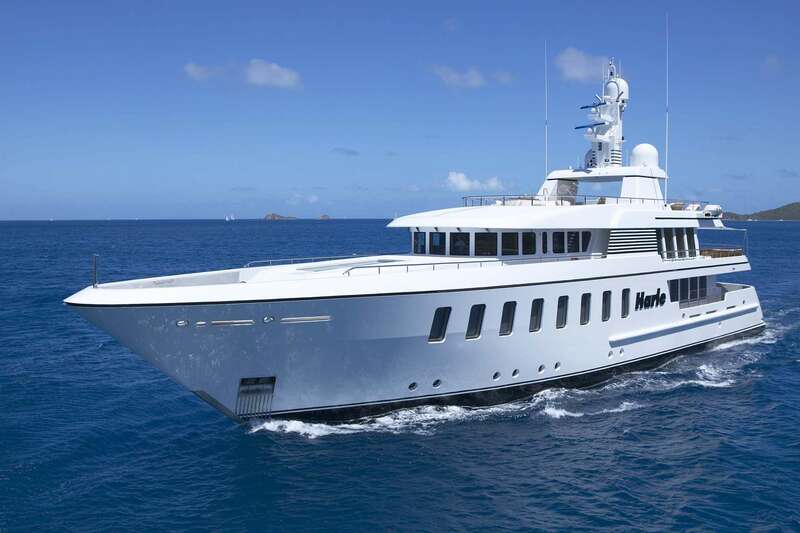 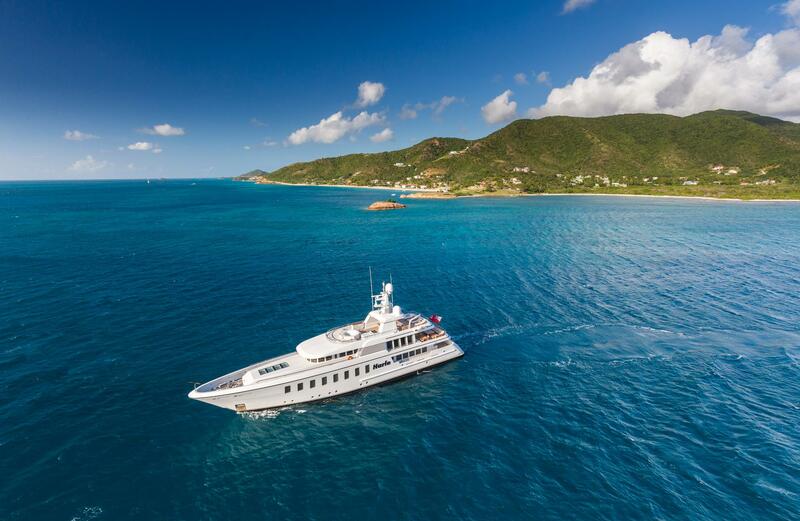 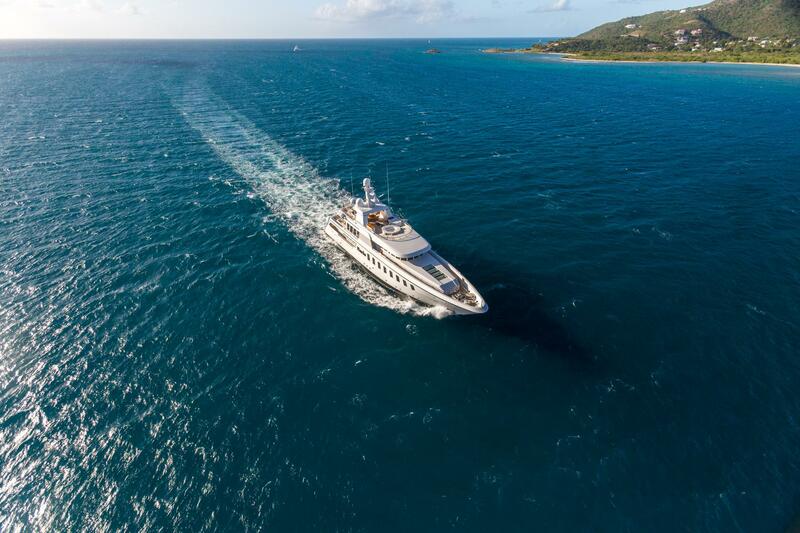 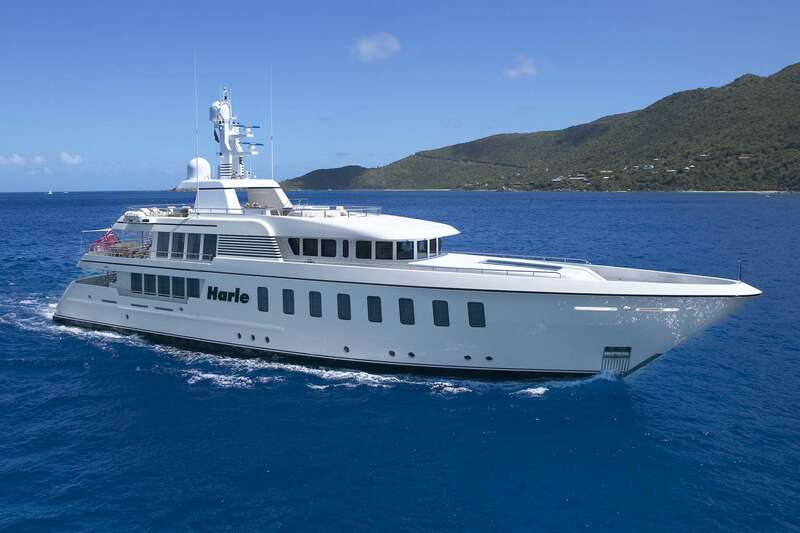 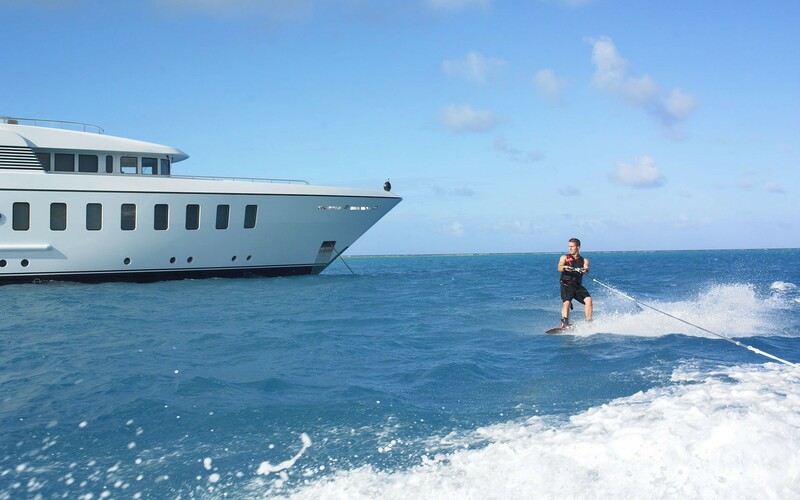 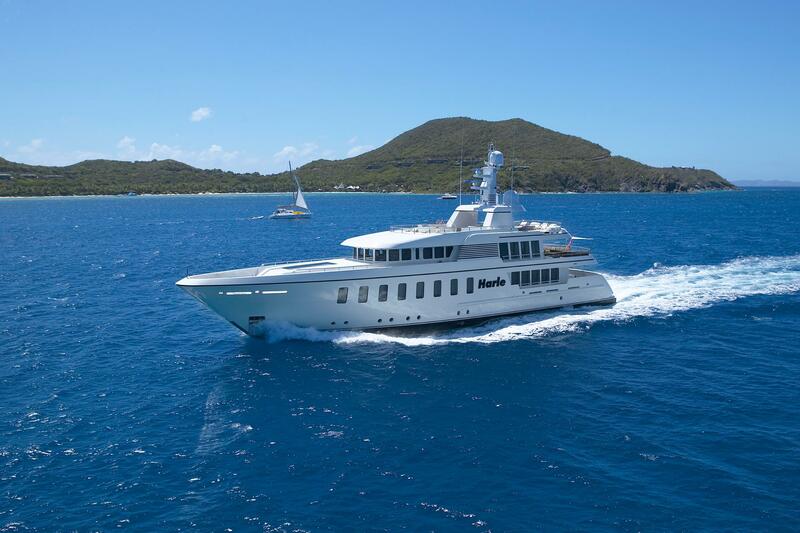 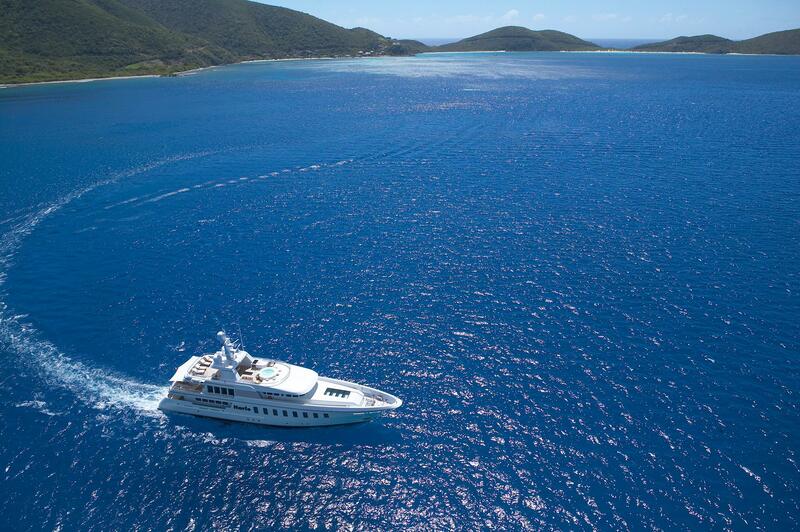 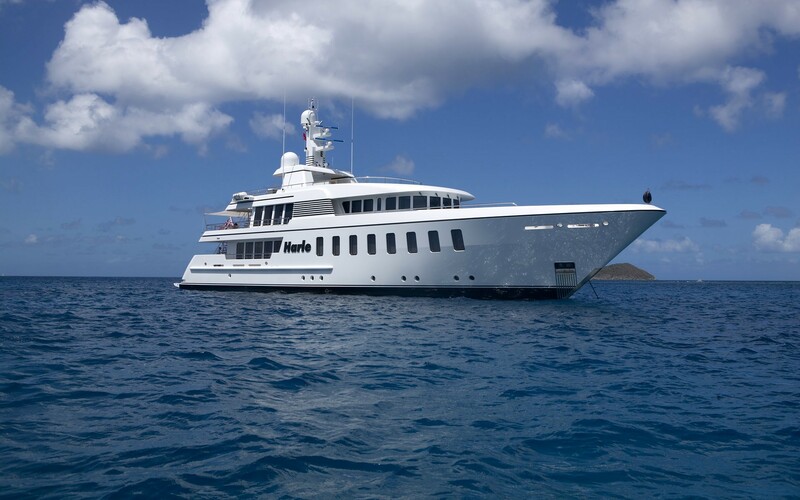 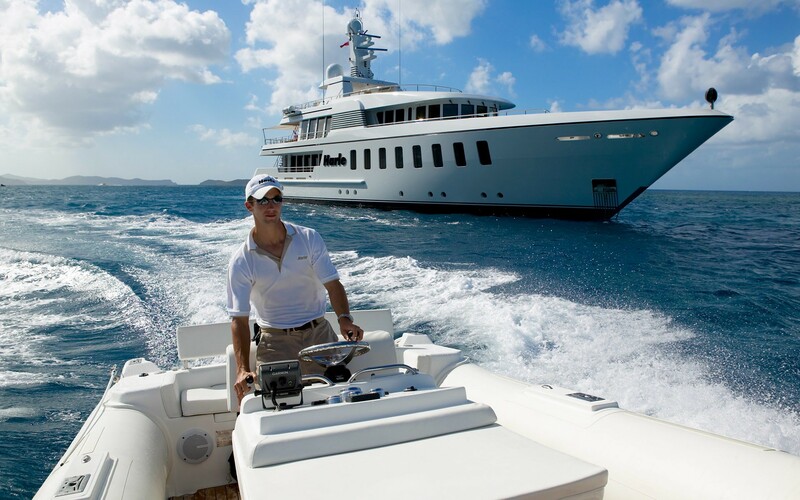 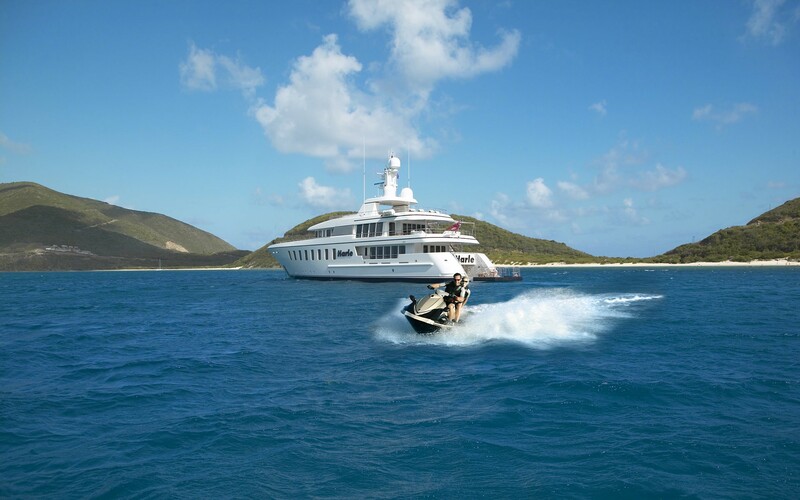 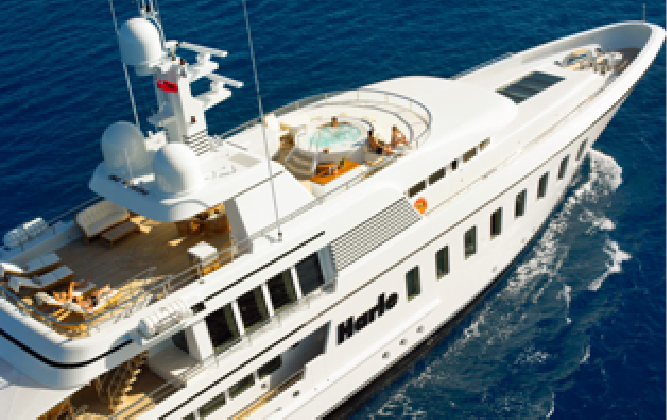 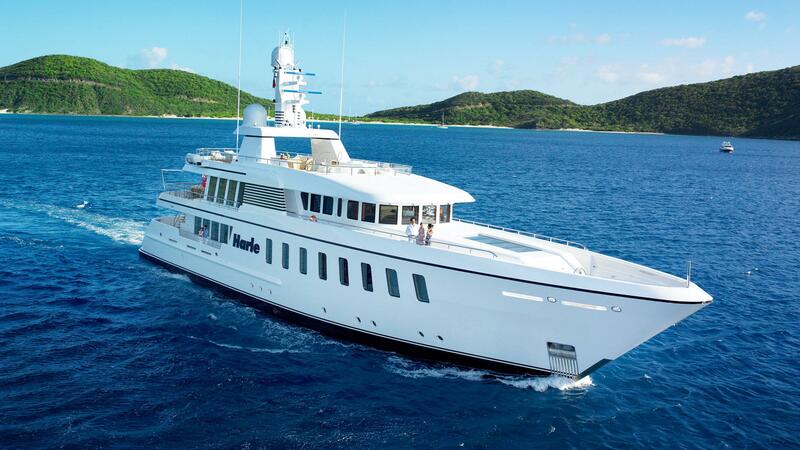 Luxury Feadship motor yacht HARLE is able to accommodate up to 10 guests in 5 luxurious staterooms plus 2 guests in a convertible private office. 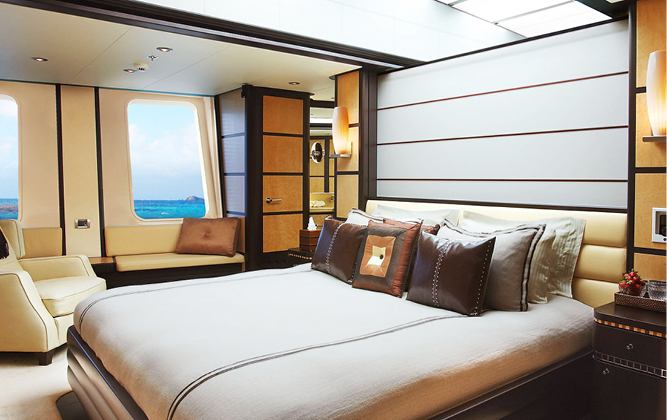 All cabins feature large windows providing plenty of natural light and a harmony between the interior and exterior landscapes. 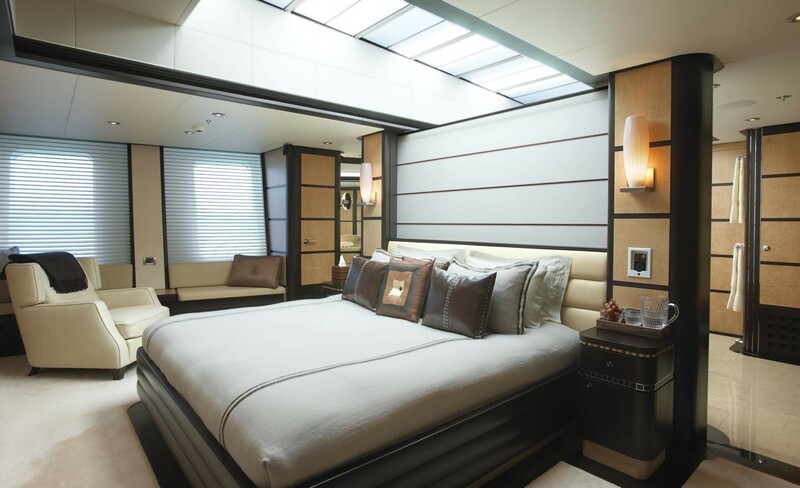 The full beam master Cabin boasts a king sized bed and four guest’s cabins feature Queen Sized beds able to convert to a twin bed configuration. 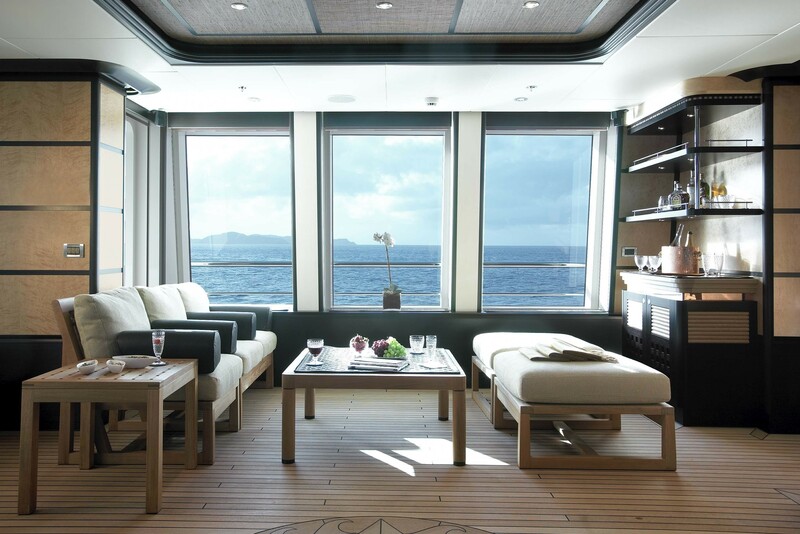 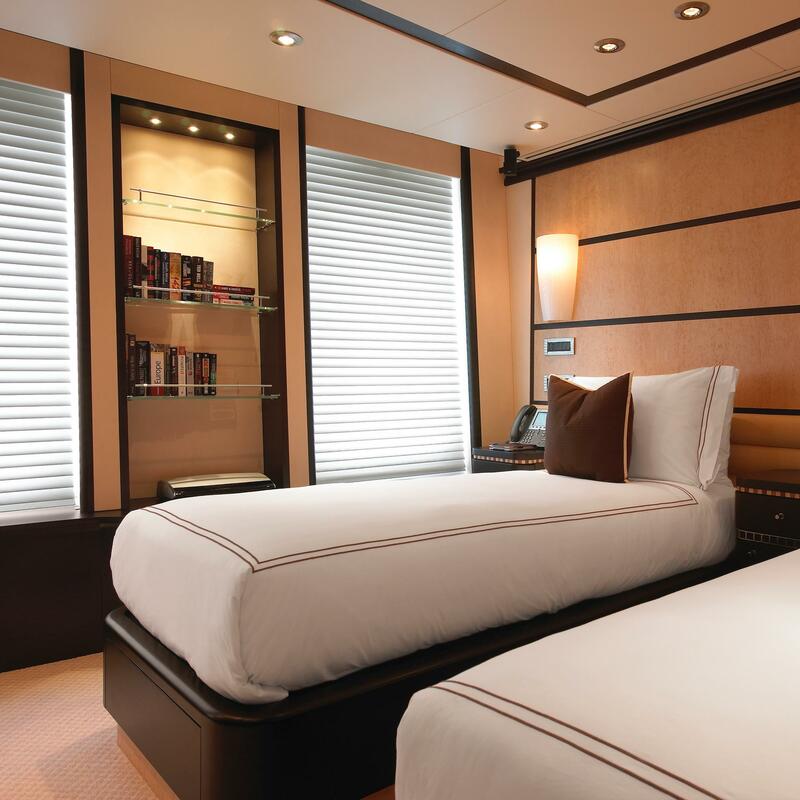 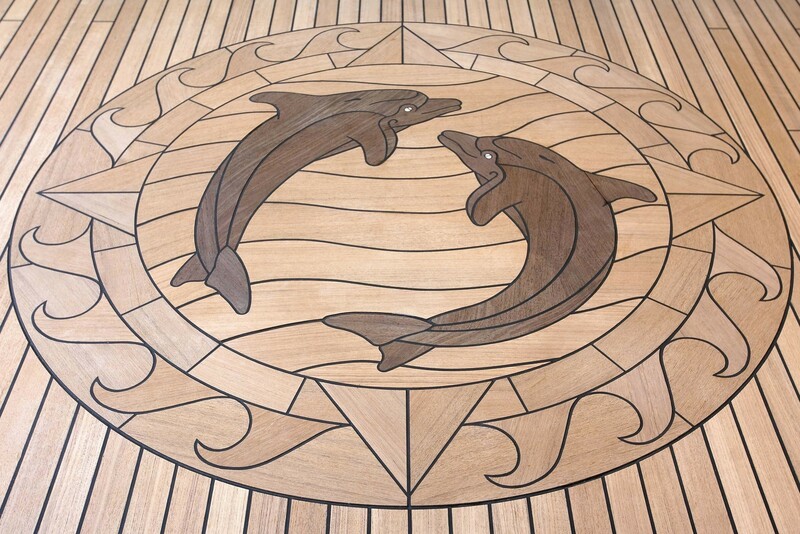 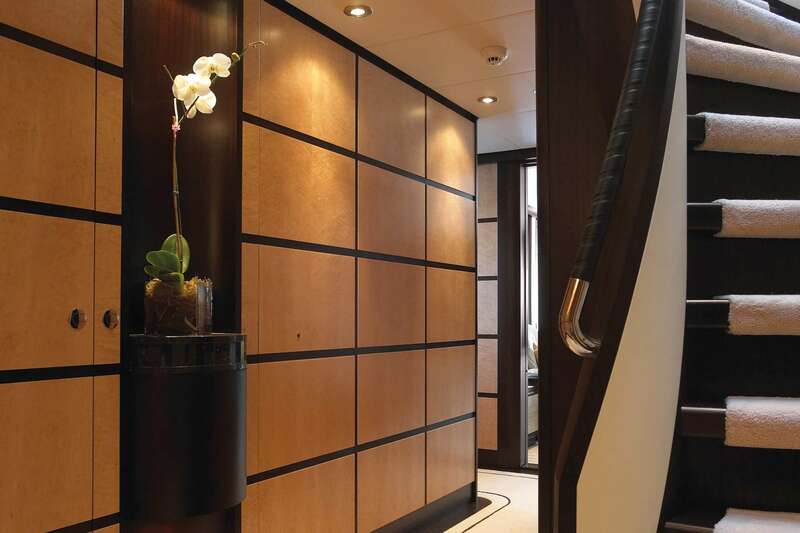 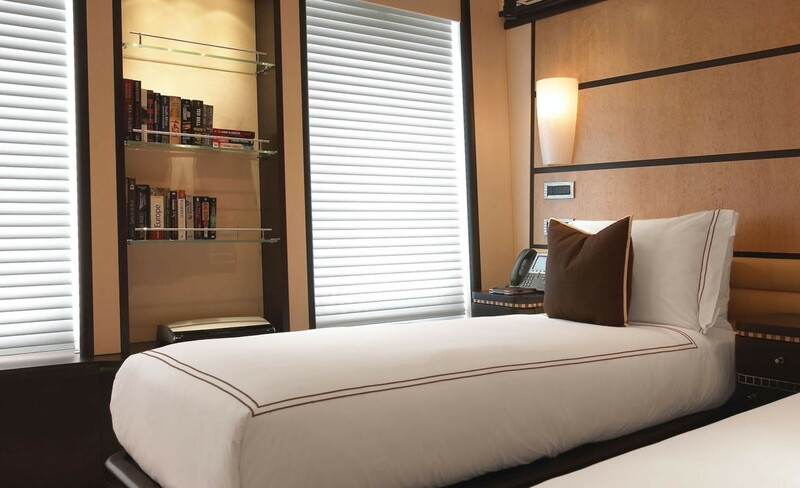 All cabins are uniquely located in the main deck giving an open feel to the cabins, with large windows allowing plenty of natural light to filter through. 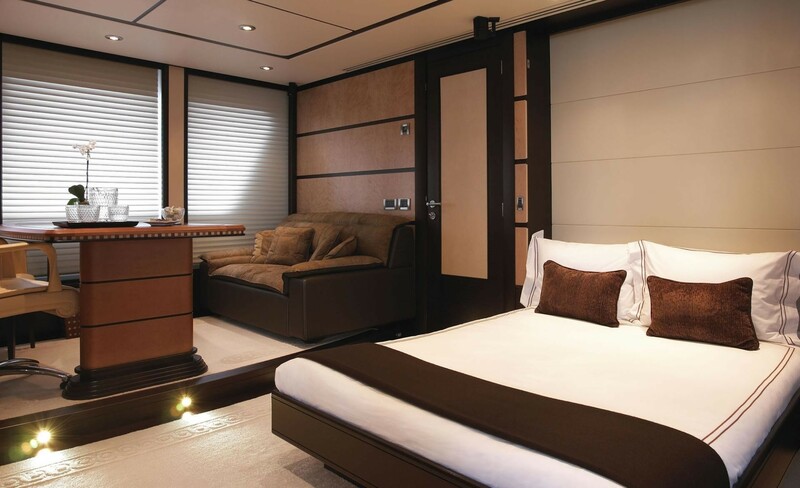 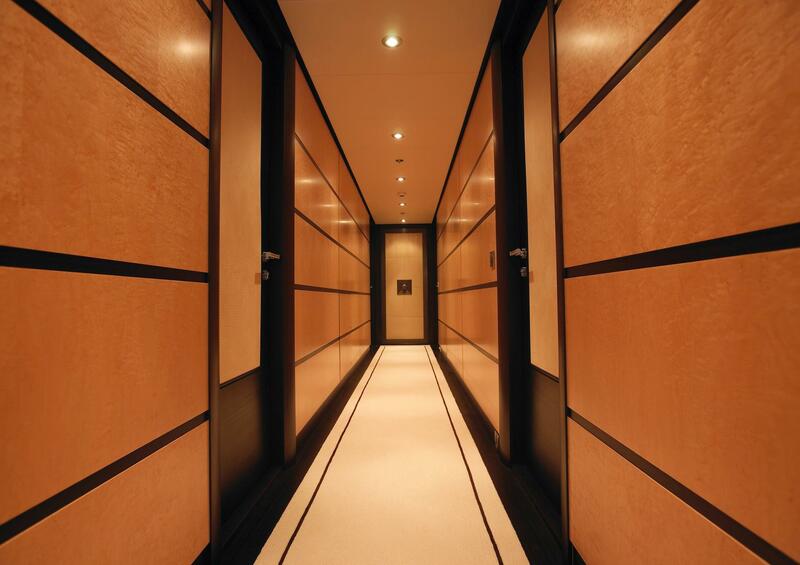 All cabins also feature private ensuite facilities. 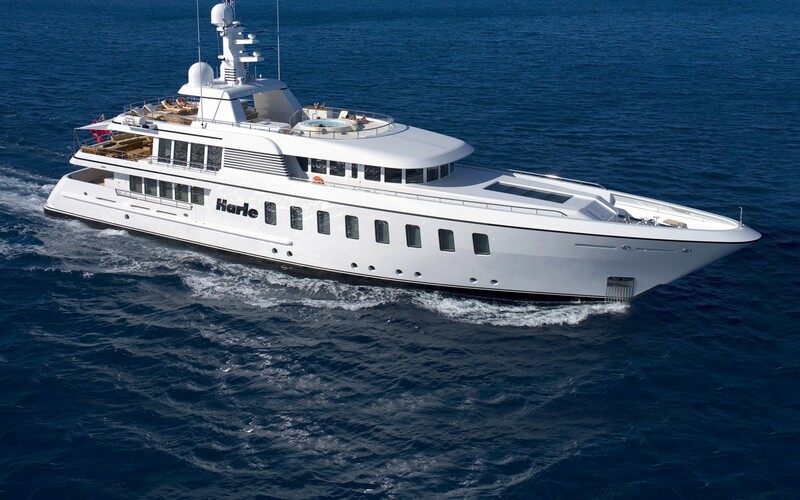 Luxury Feadship motor yacht HARLE is able to accommodate up to 10 guests in 5 luxurious staterooms plus 2 guests in a convertible private office. 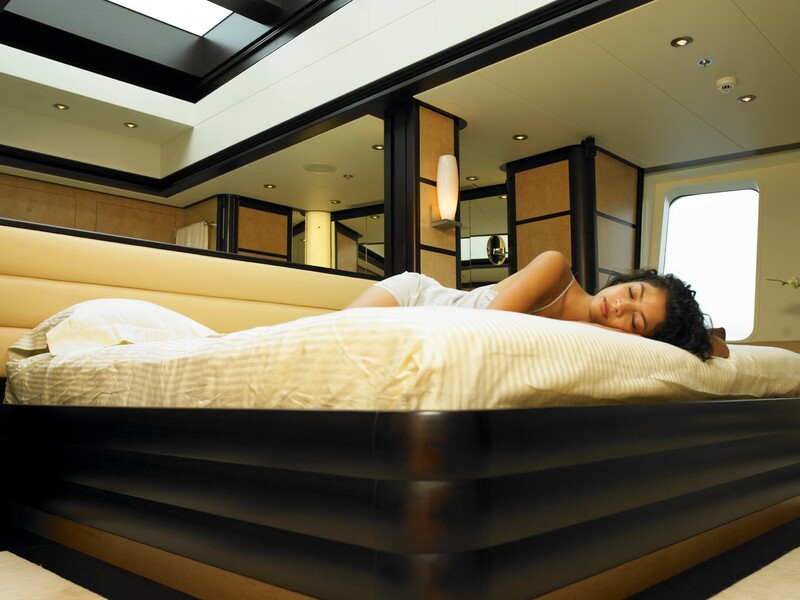 The full beam master Cabin boasts a king sized bed and four guest’s cabins feature Queen Sized beds able to convert to a twin bed configuration. 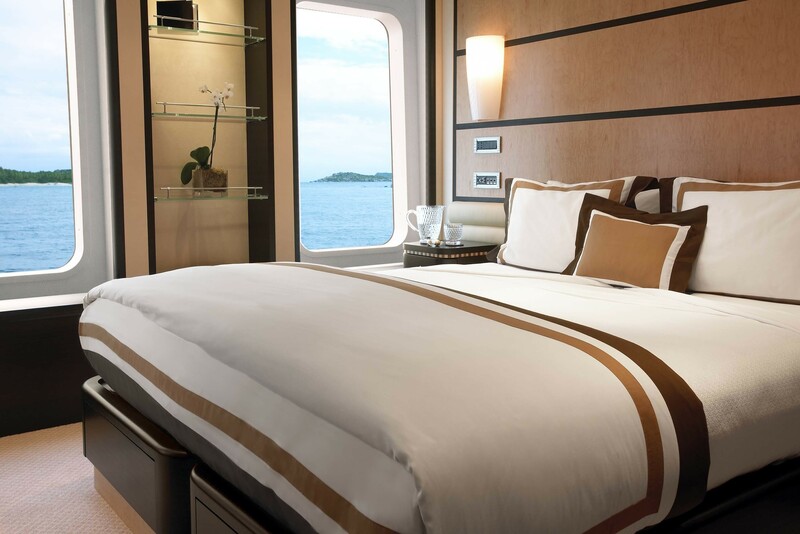 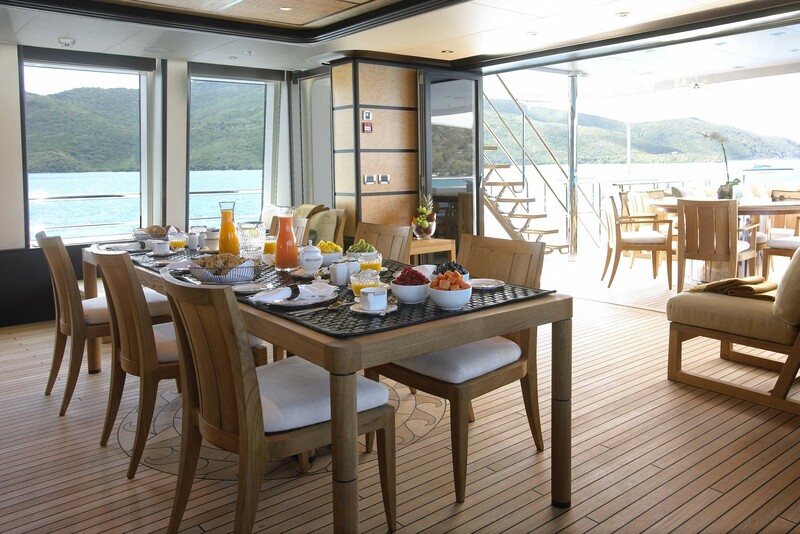 All cabins are uniquely located in the main deck giving an open feel to the cabins, with large windows allowing plenty of natural light to filter through. 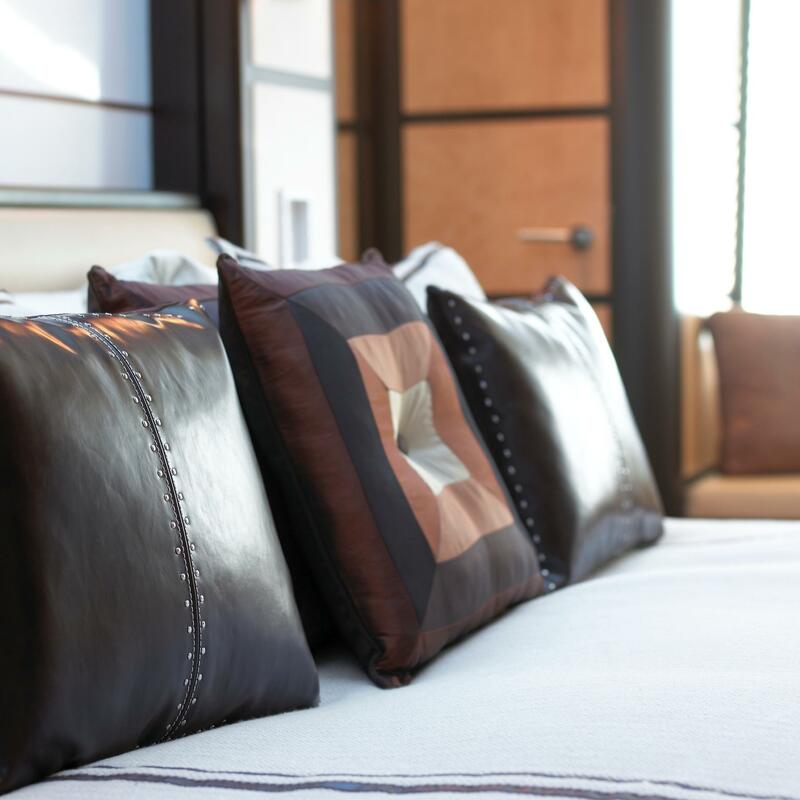 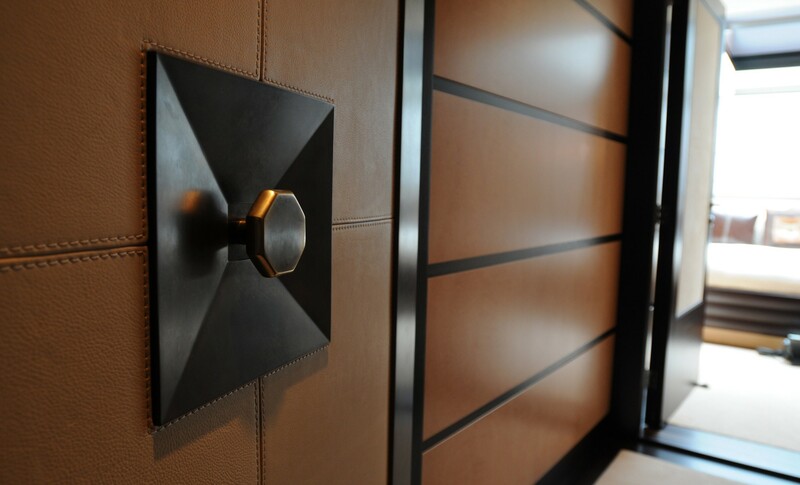 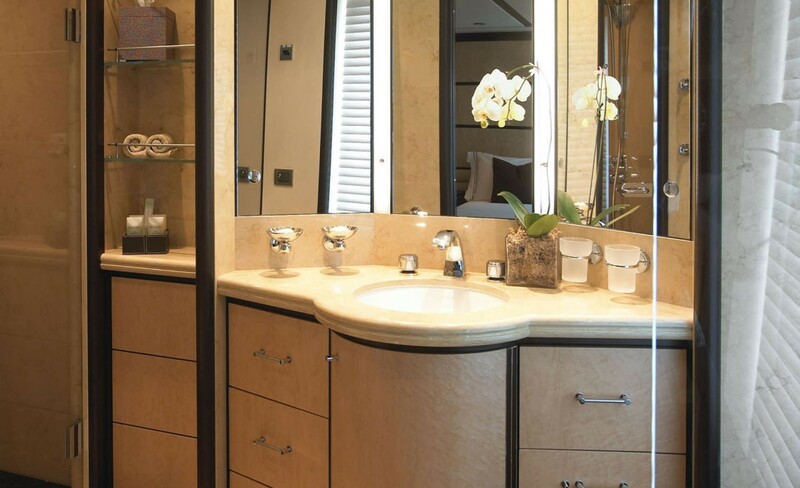 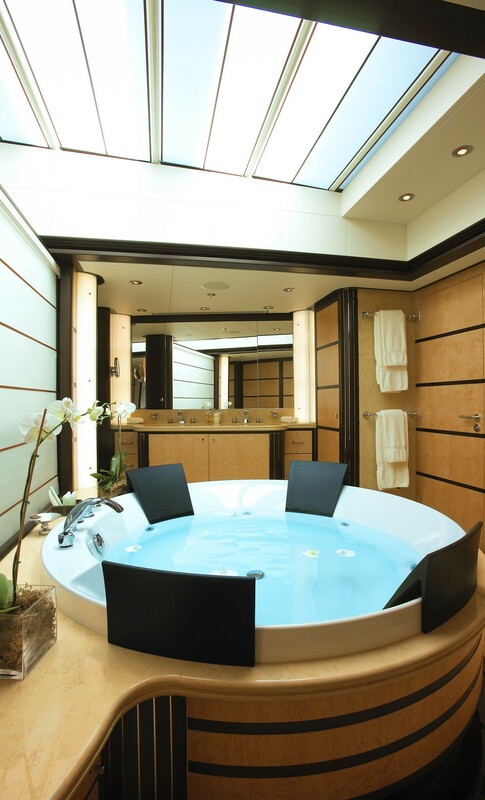 All cabins also feature private ensuite facilities.